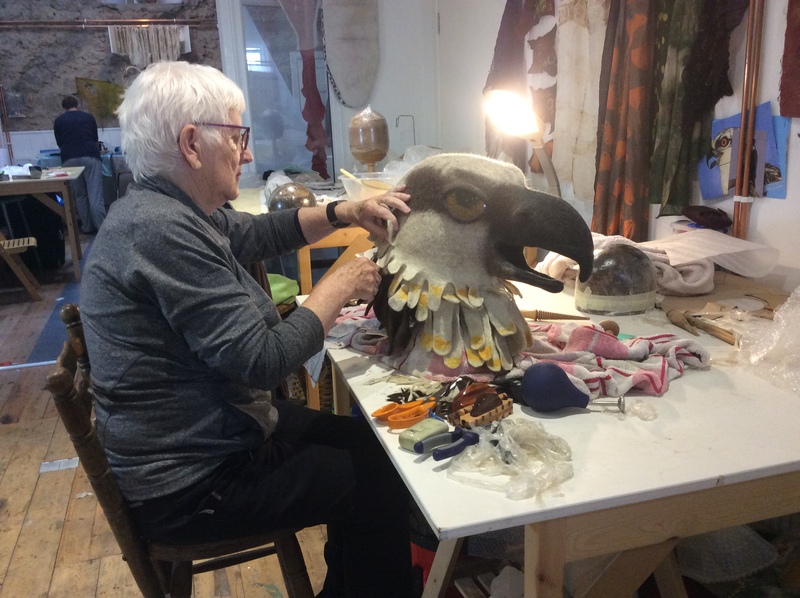 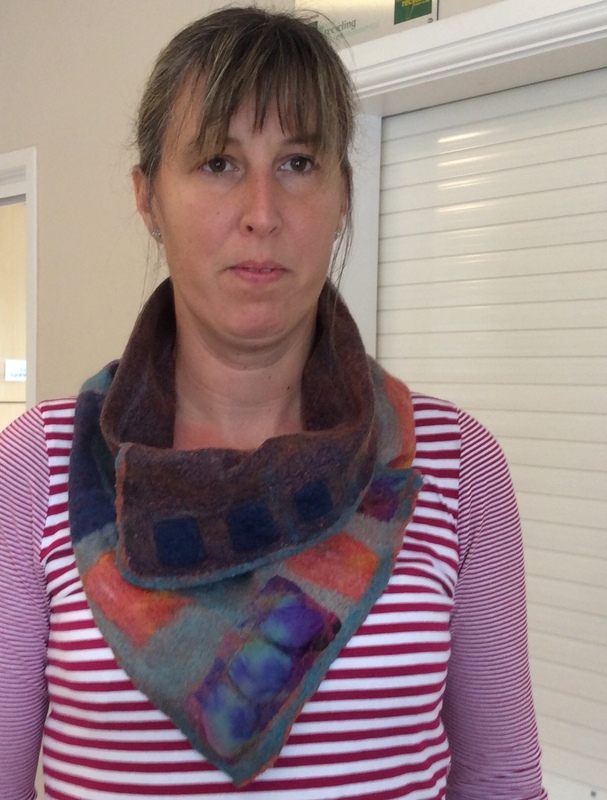 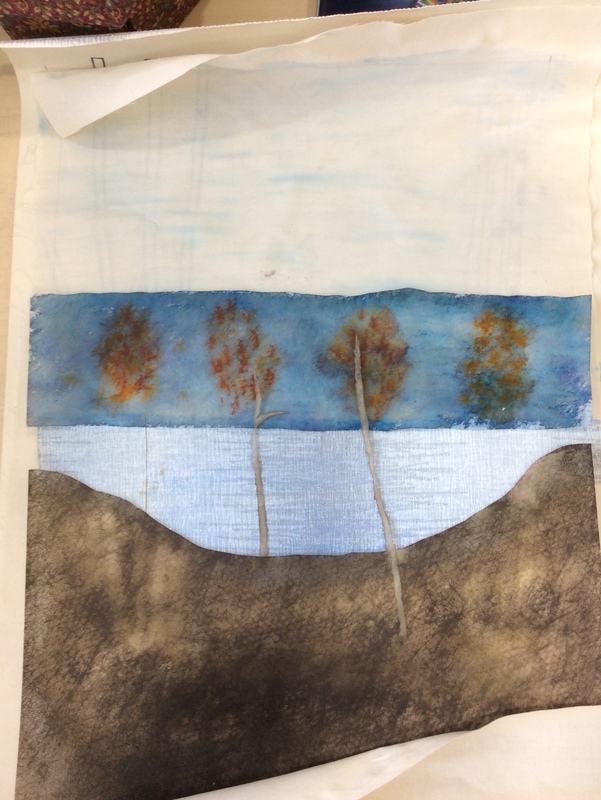 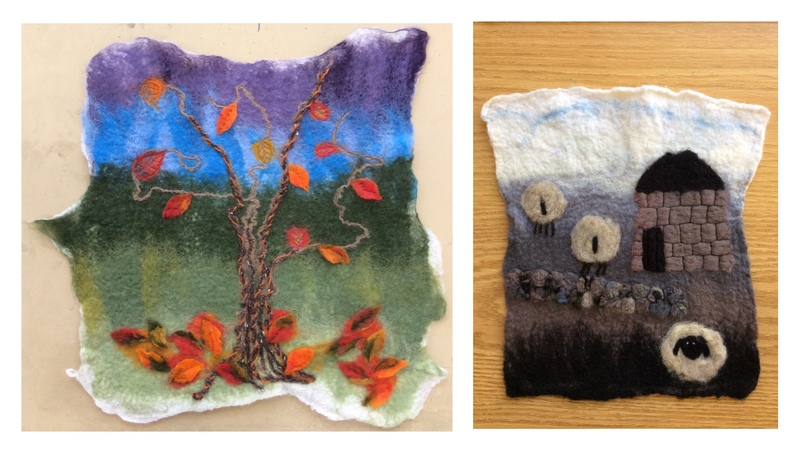 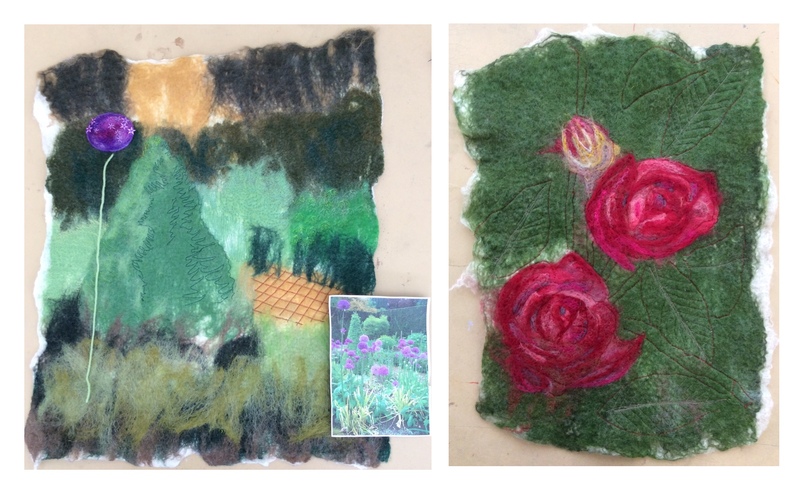 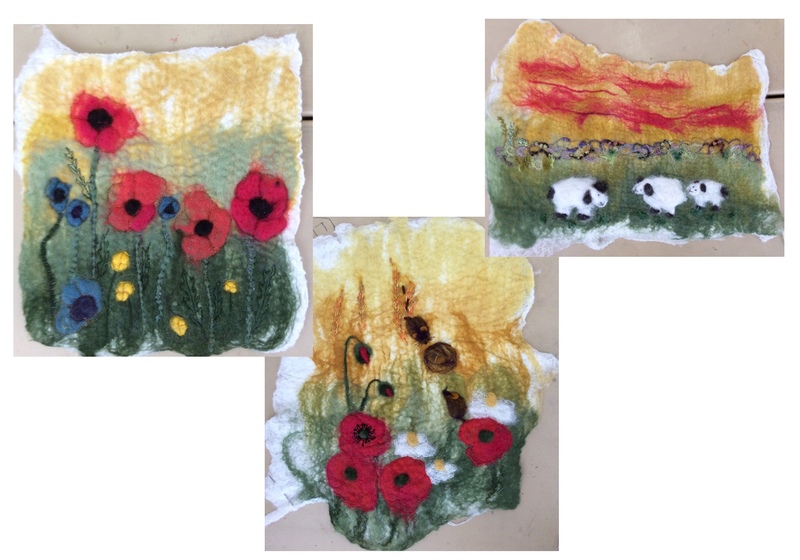 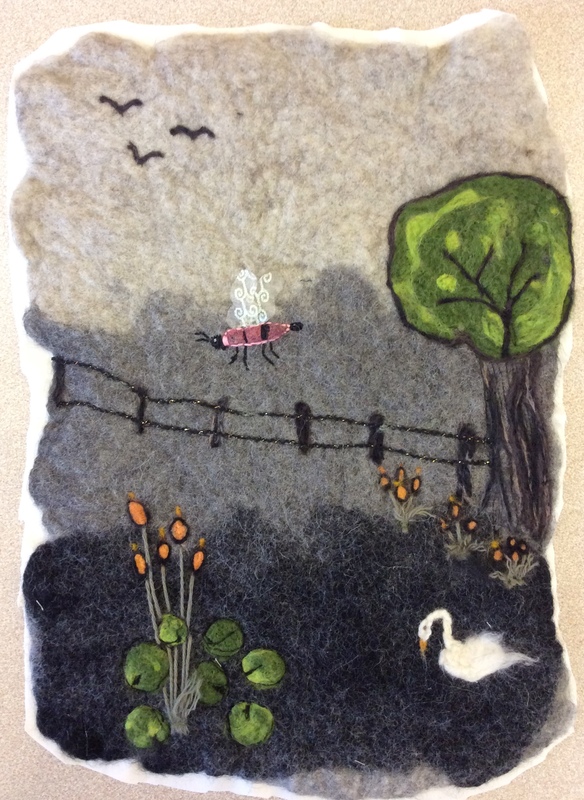 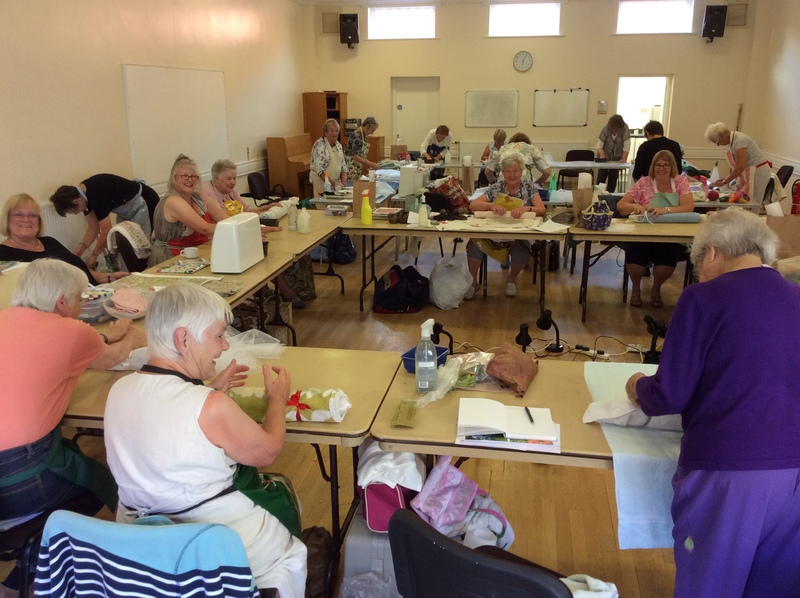 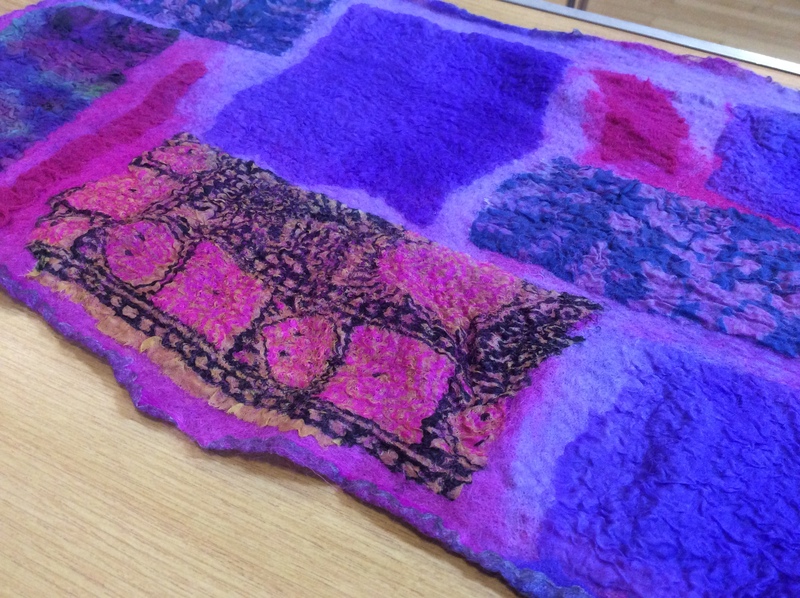 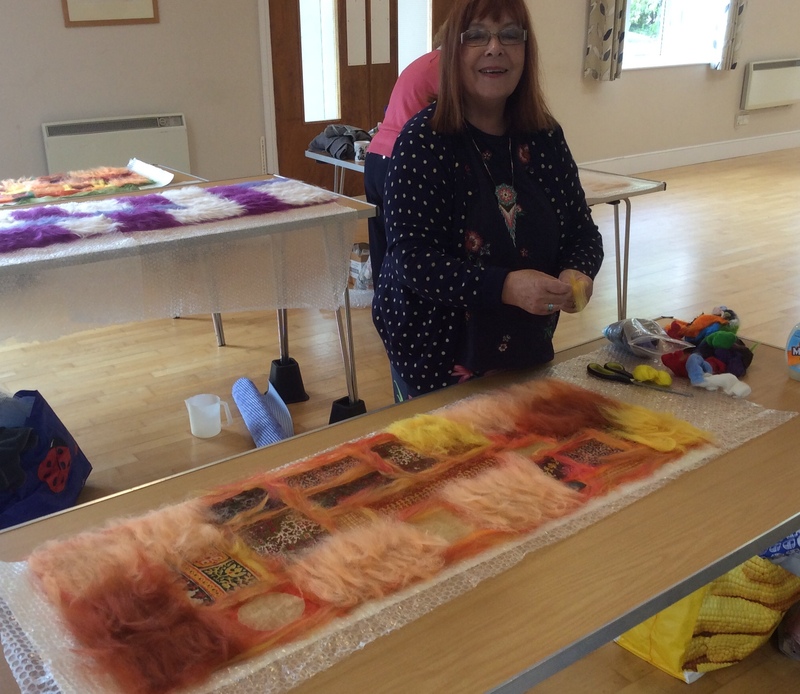 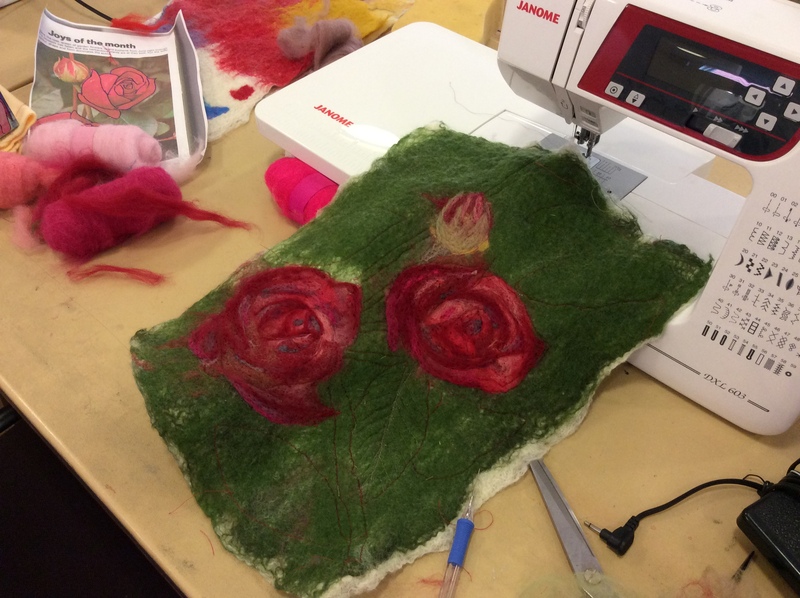 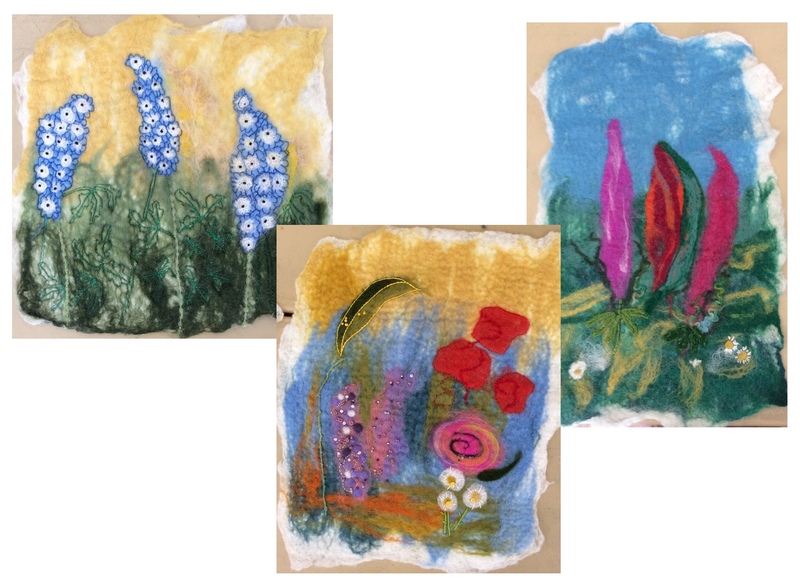 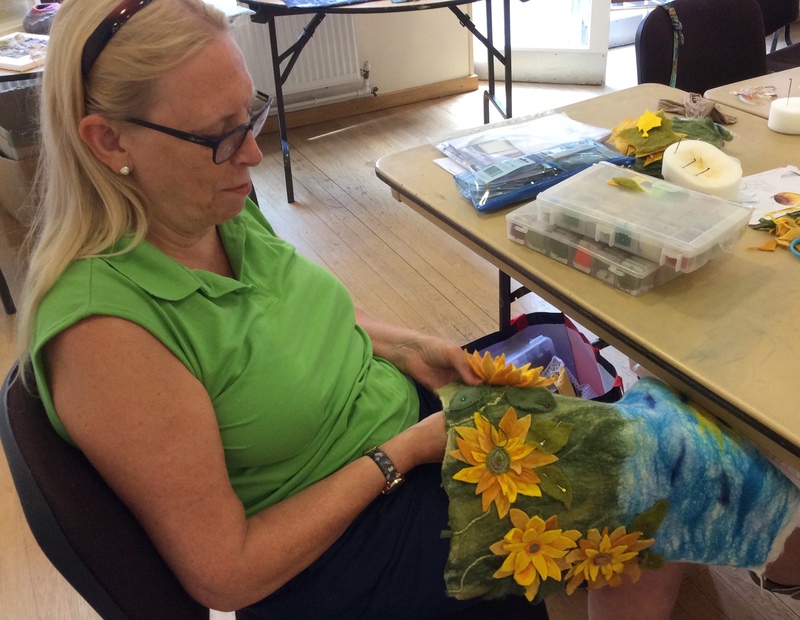 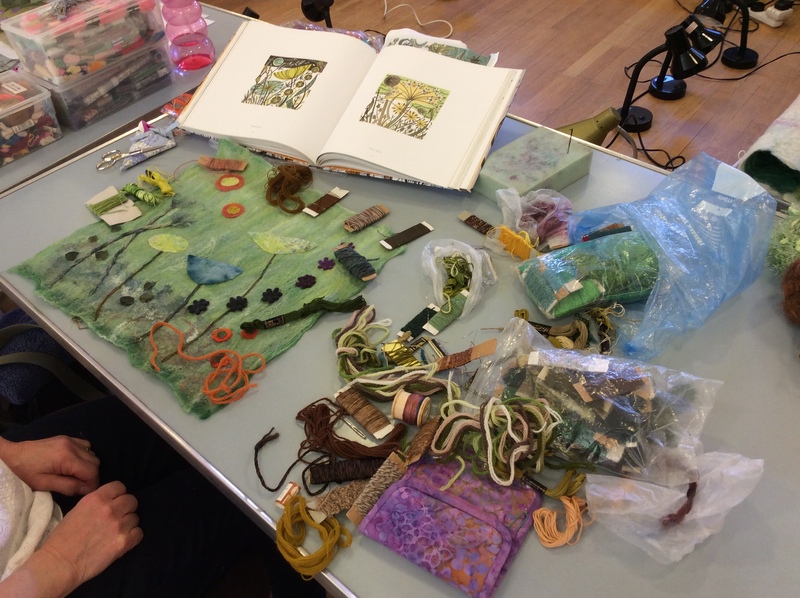 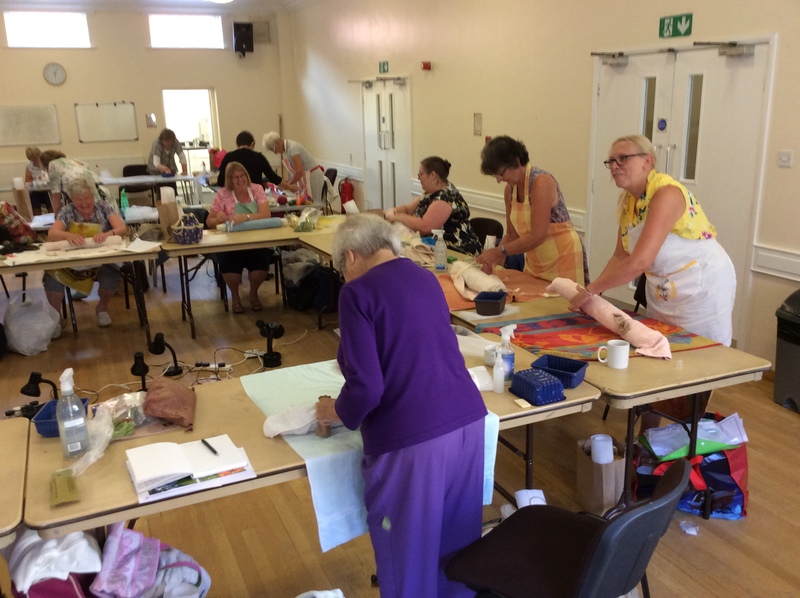 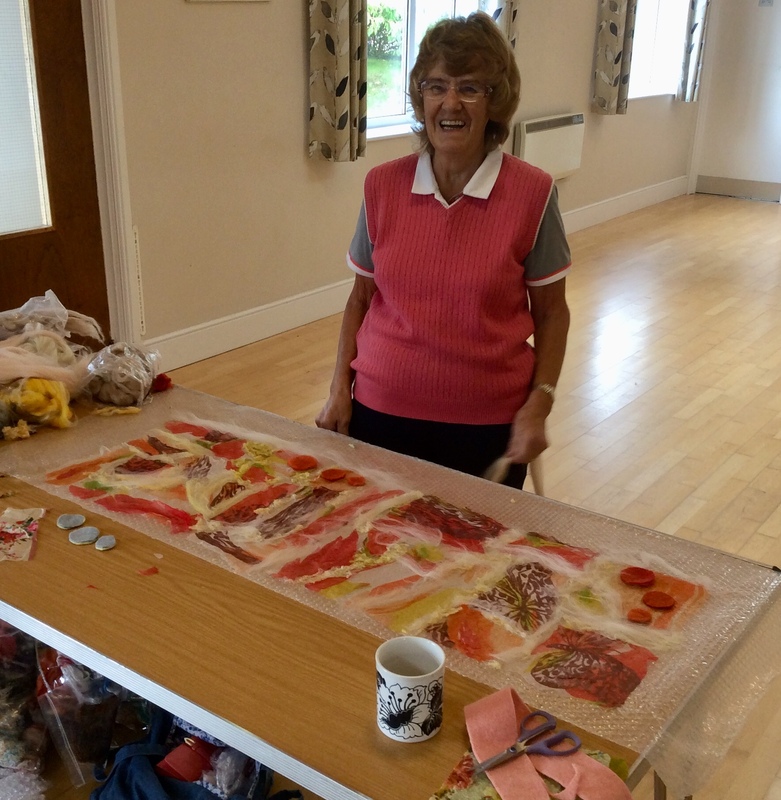 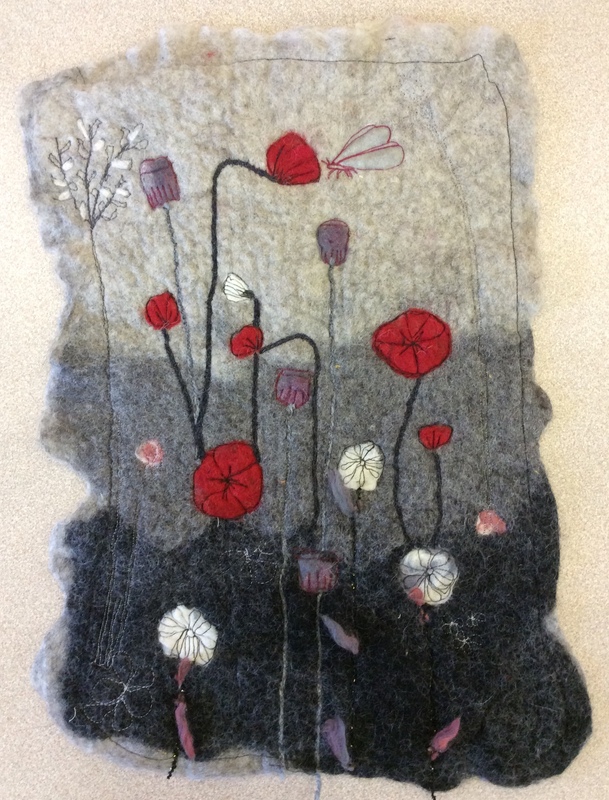 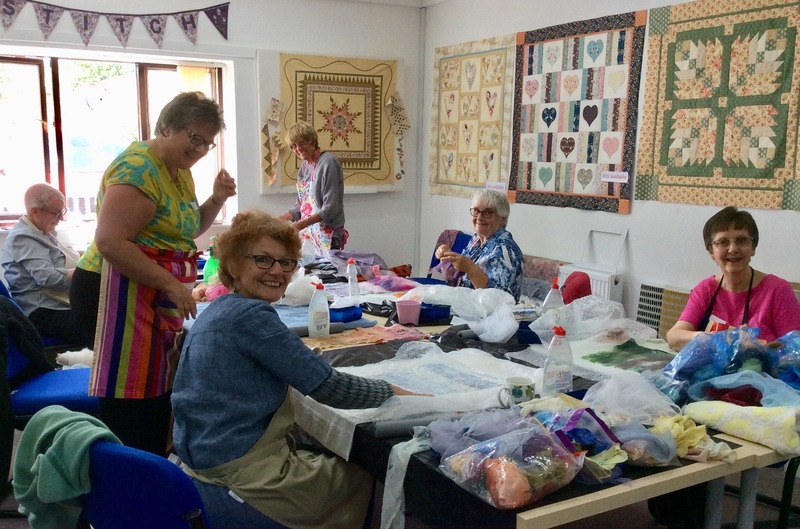 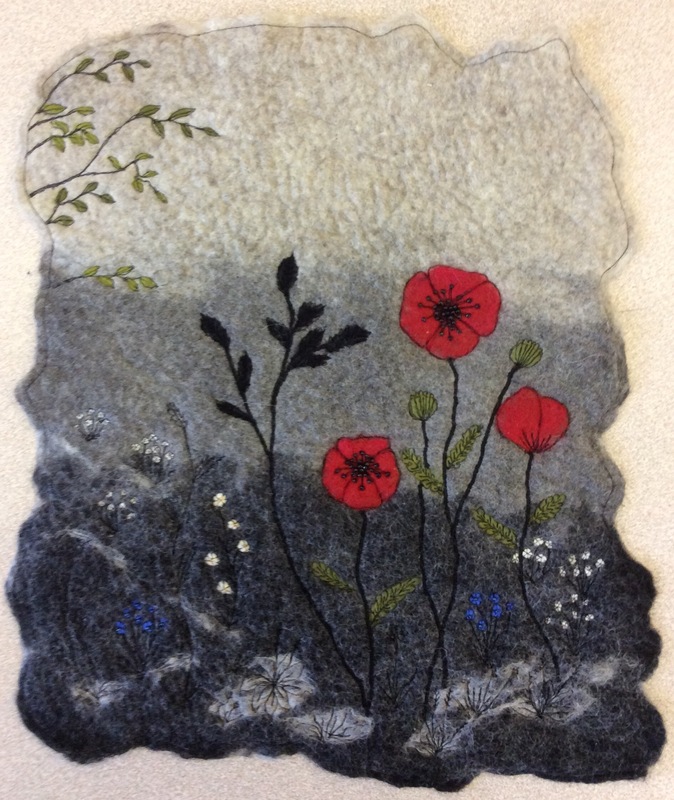 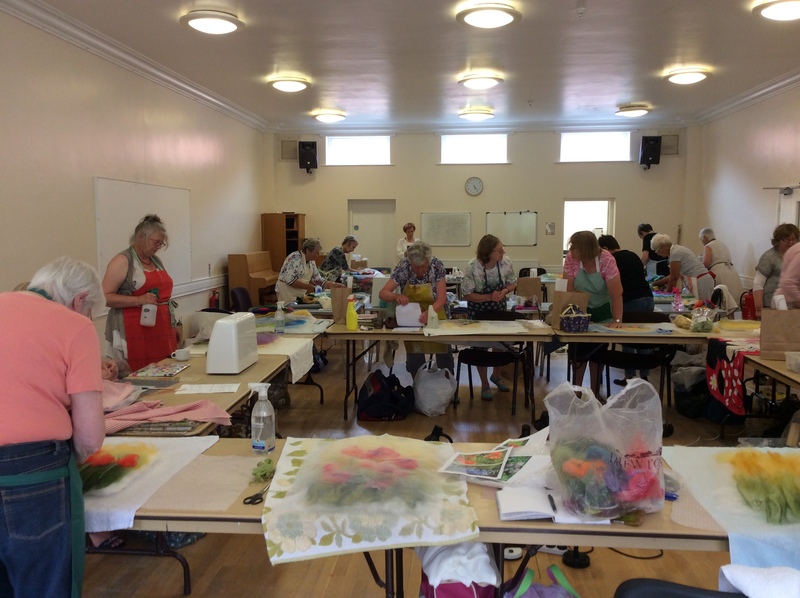 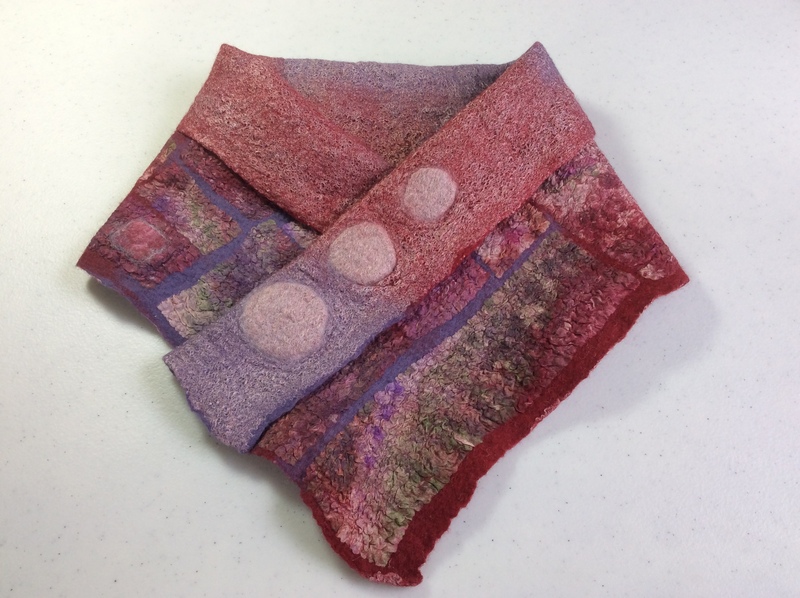 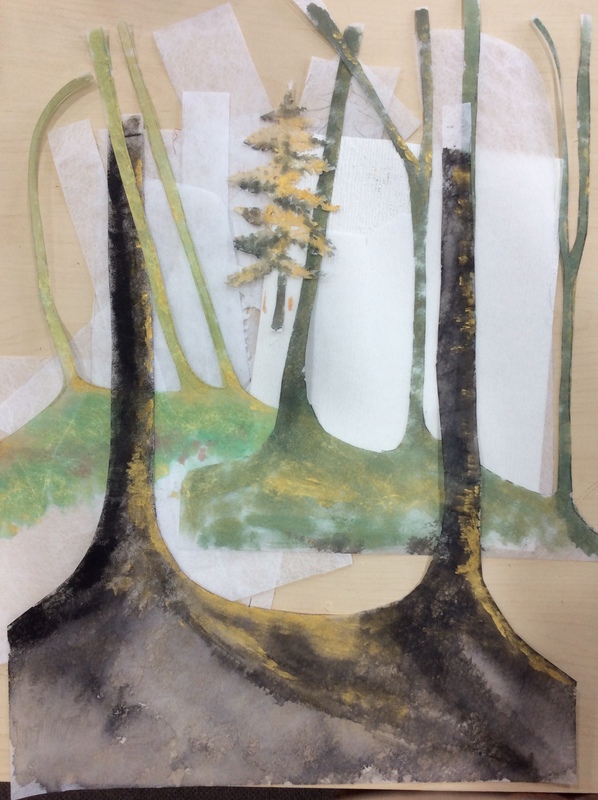 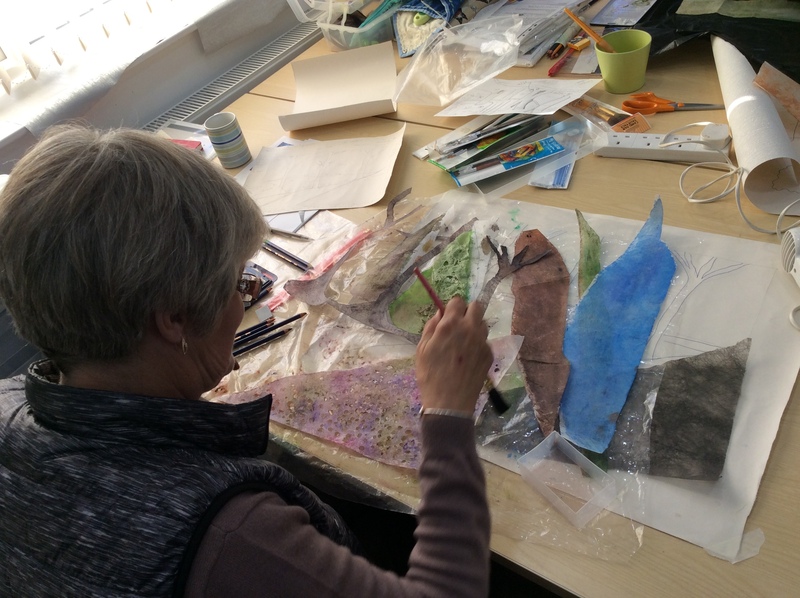 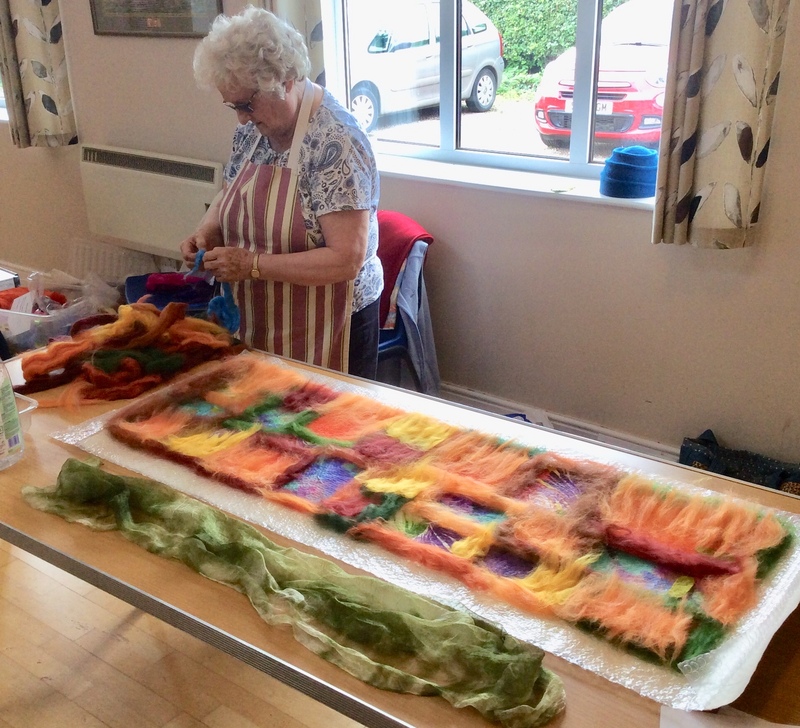 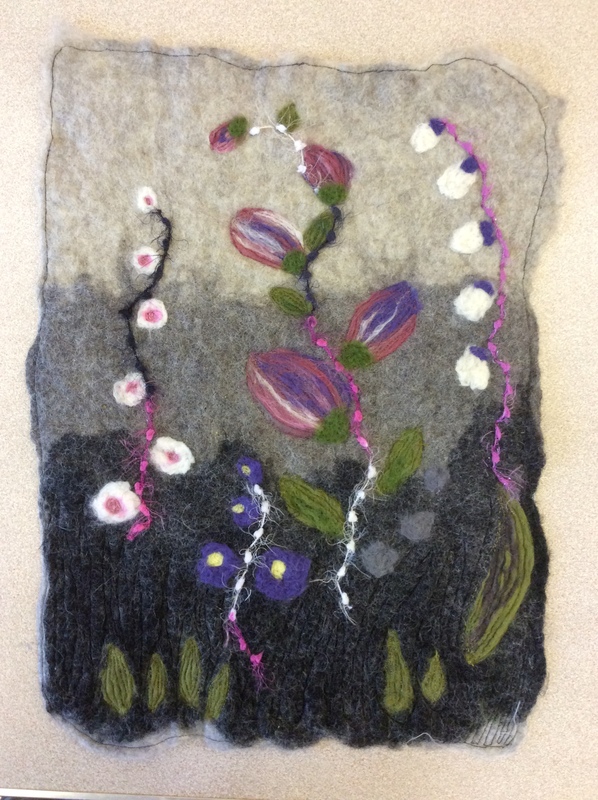 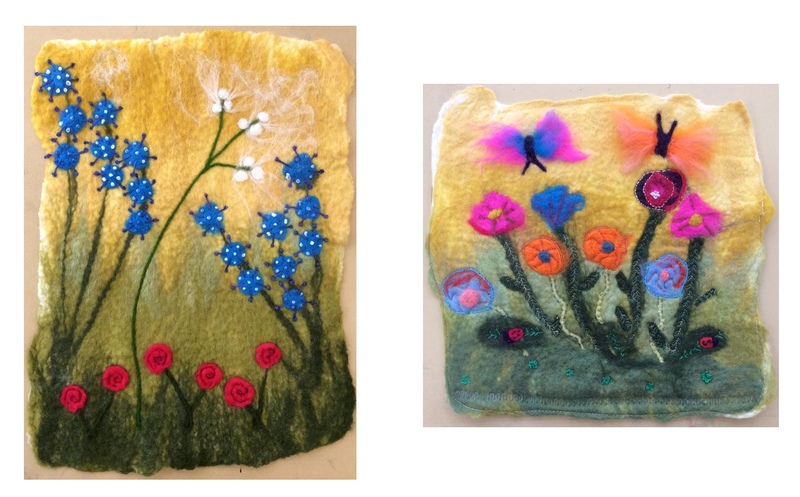 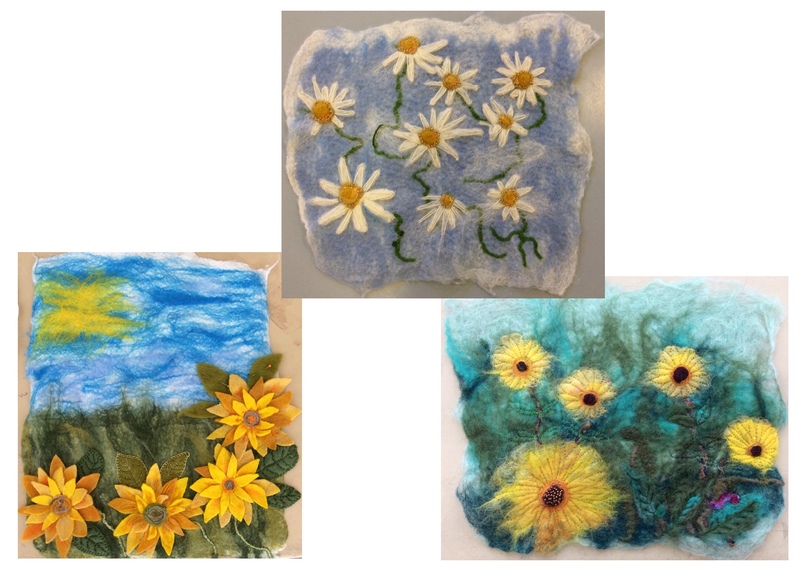 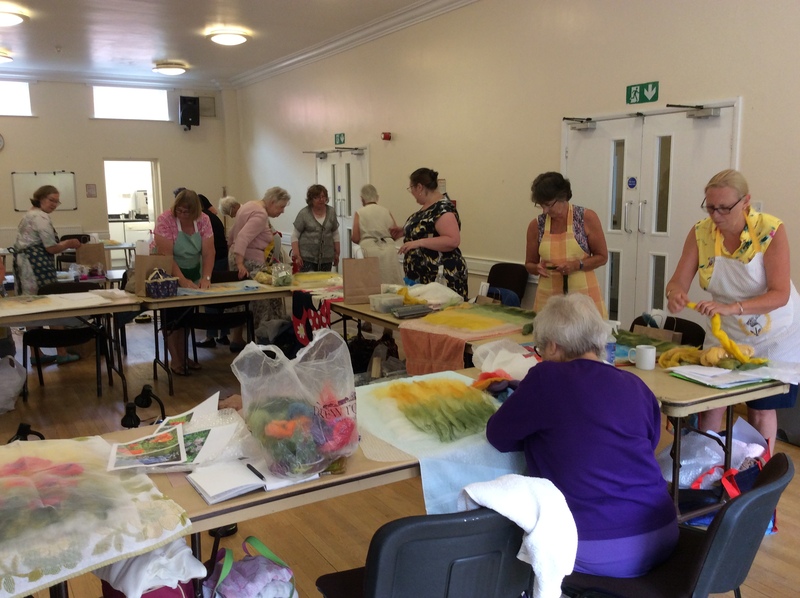 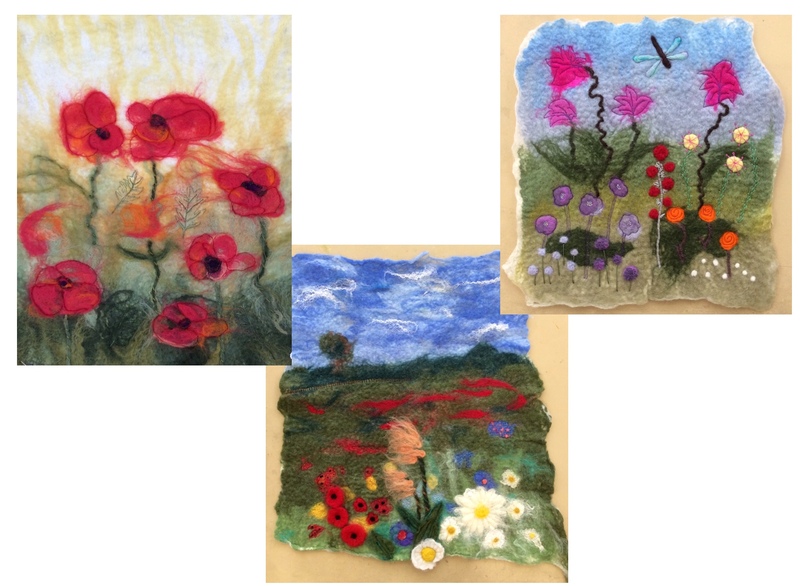 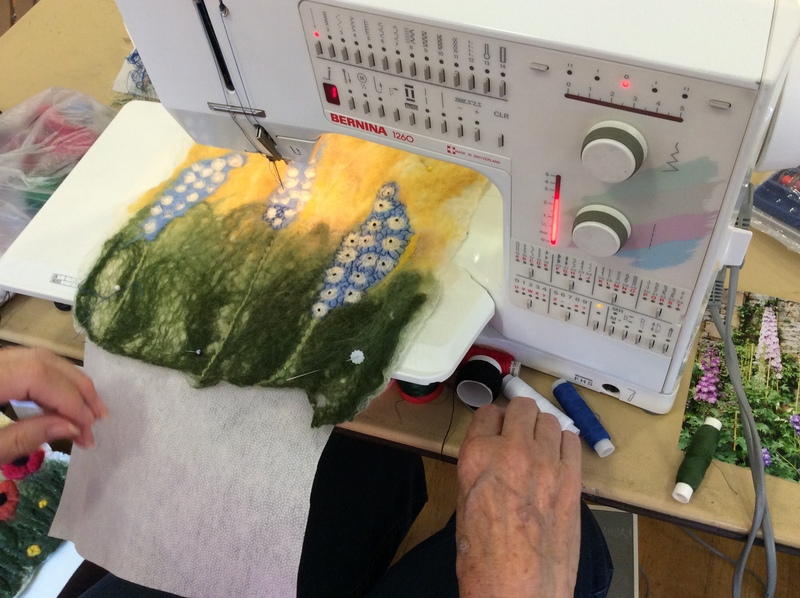 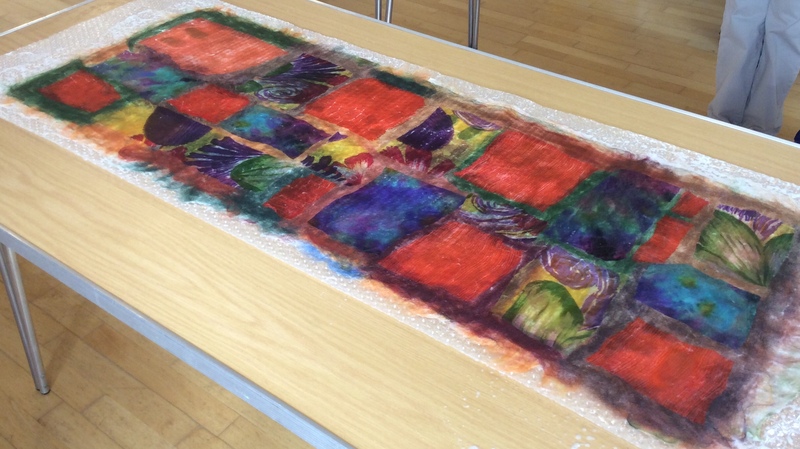 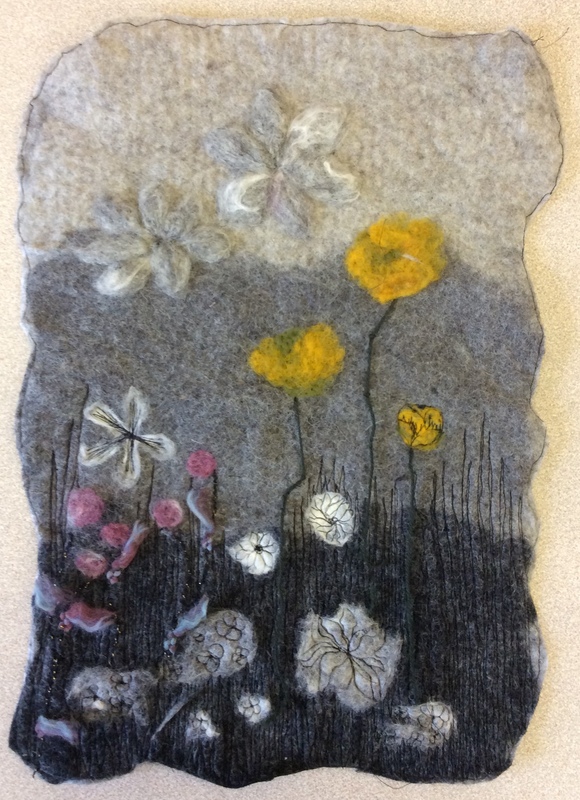 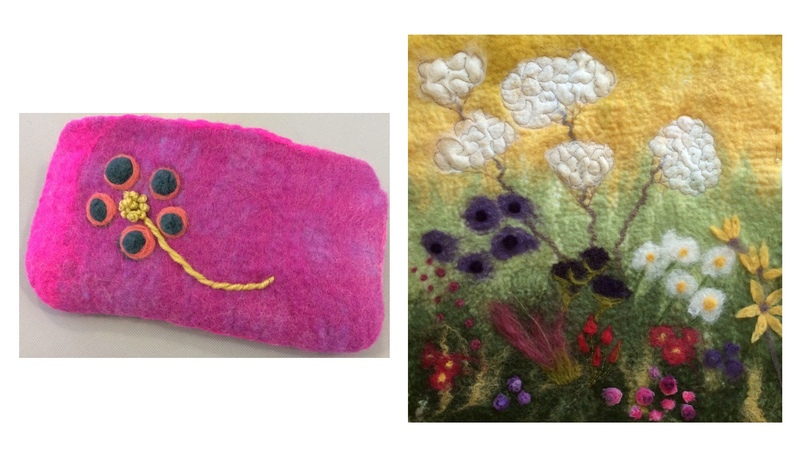 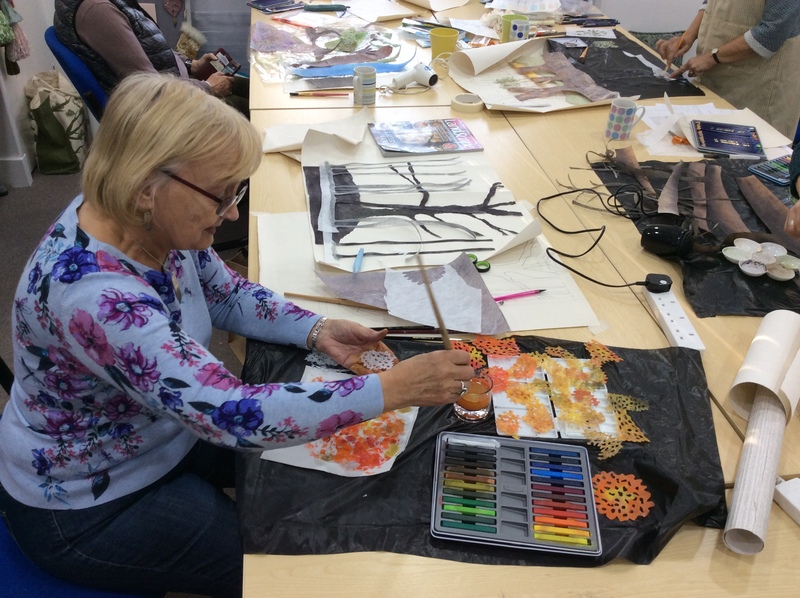 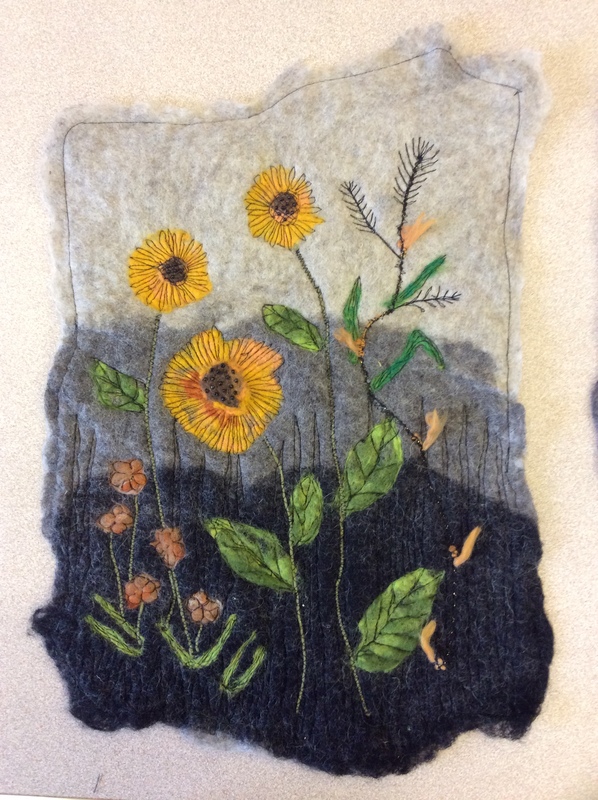 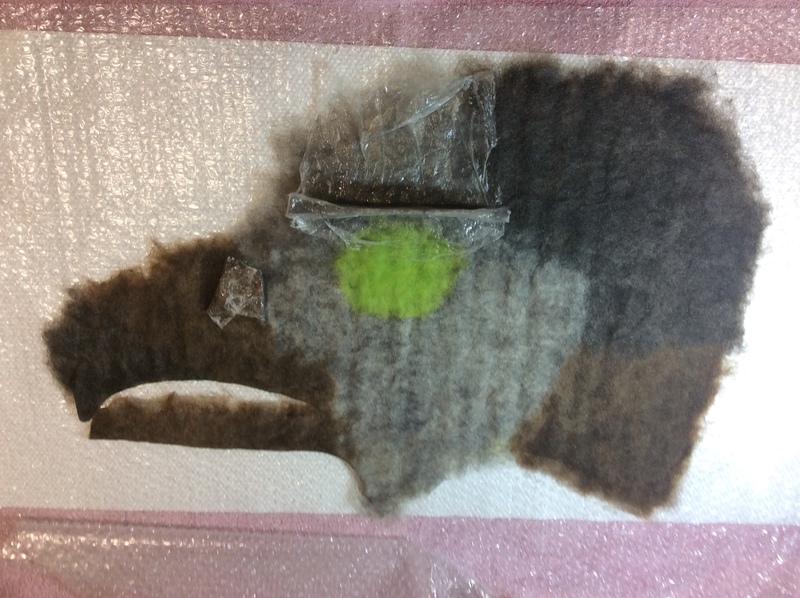 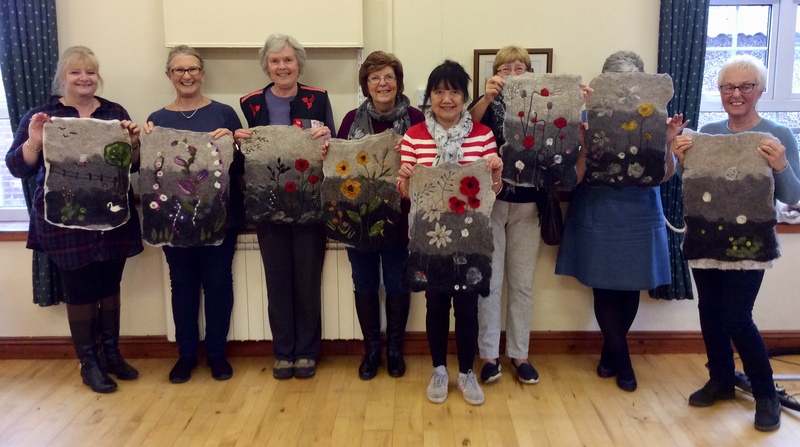 Nuno Felting day two at East Keswick and the ladies used view finders to identify areas for adding stitched detail to their Felted work….. 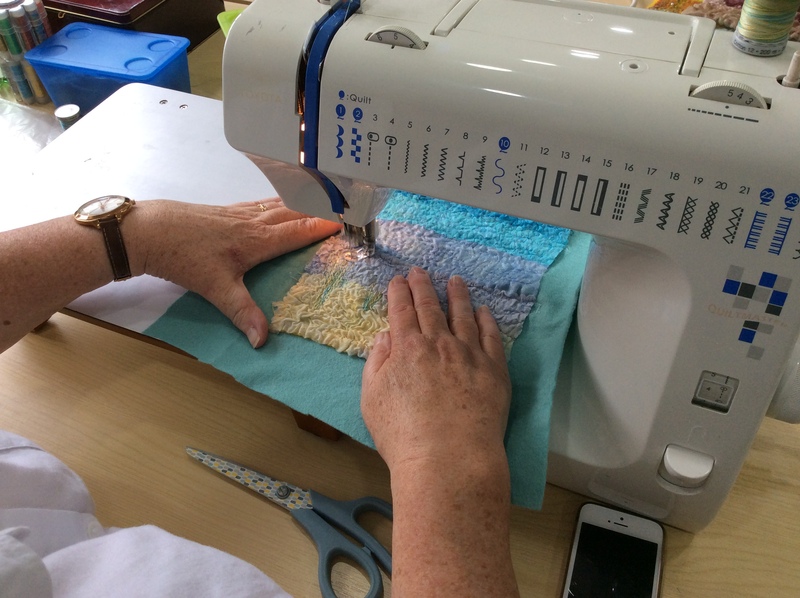 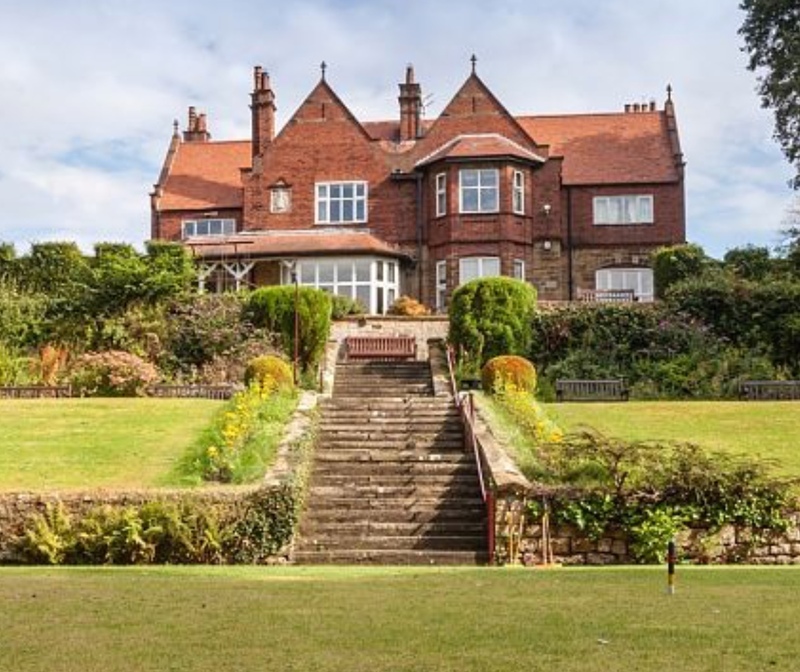 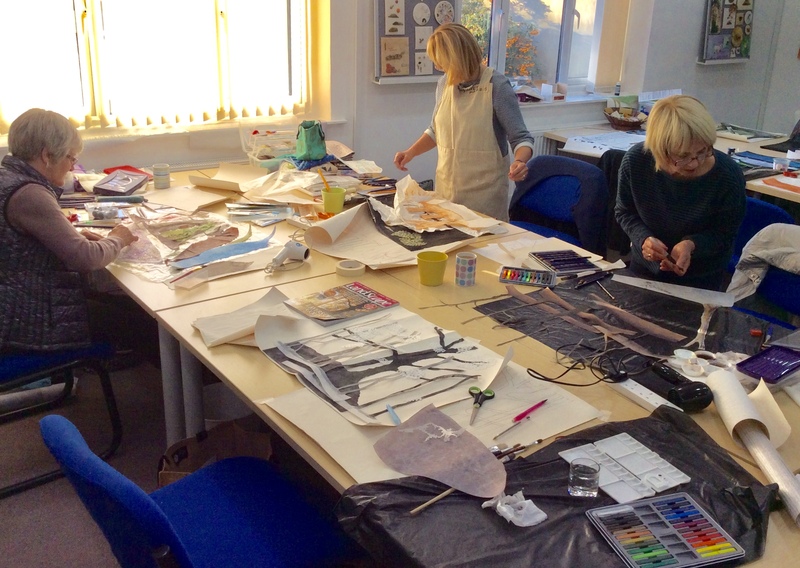 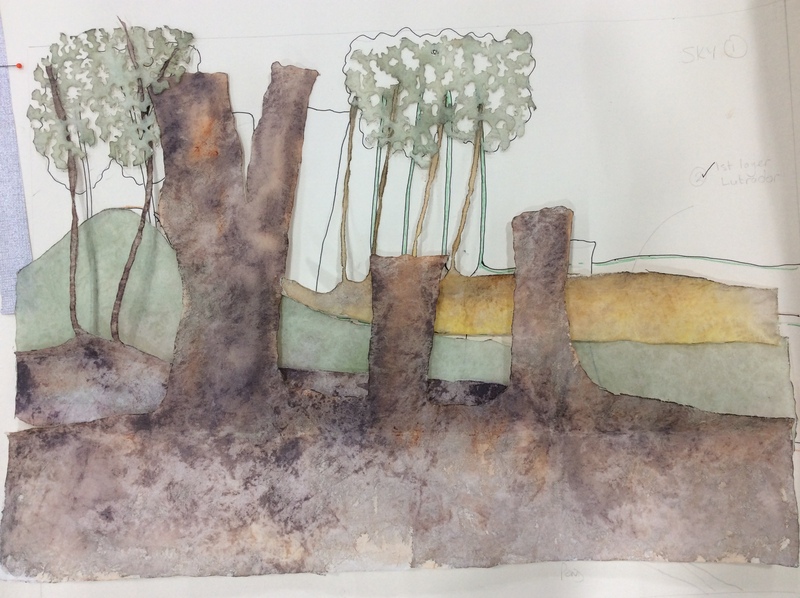 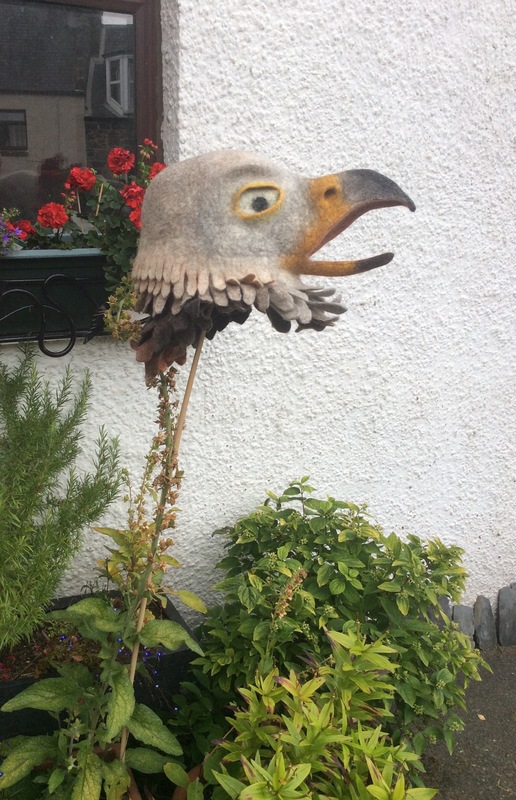 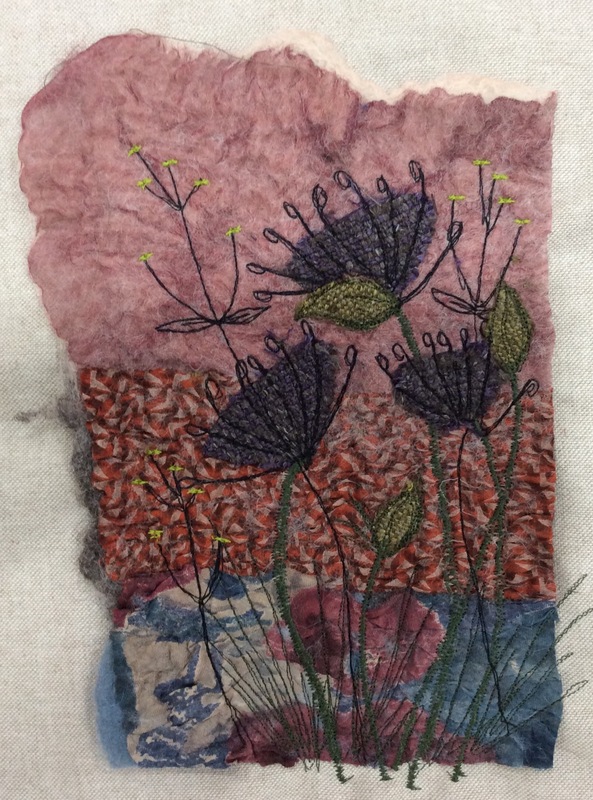 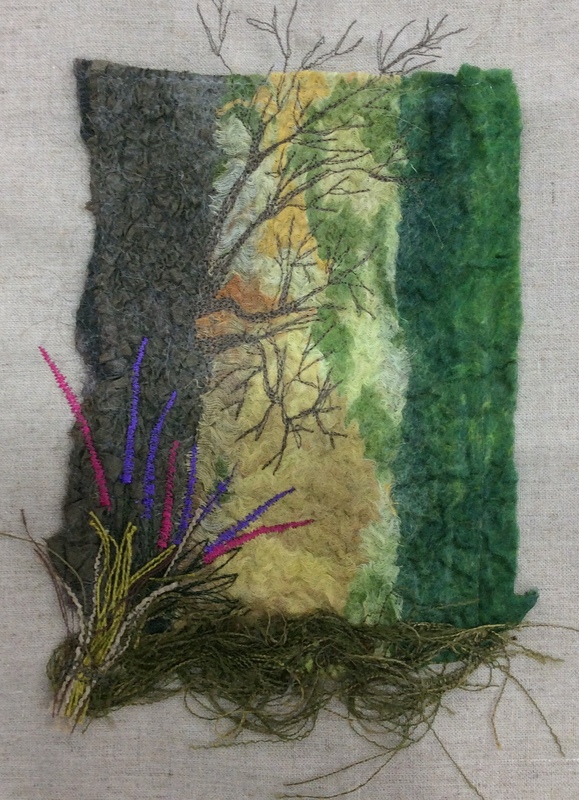 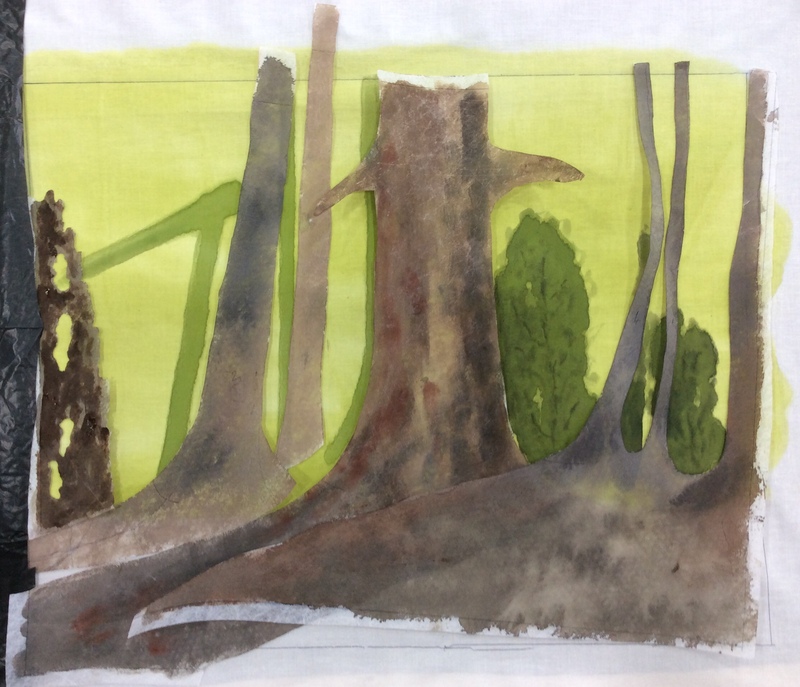 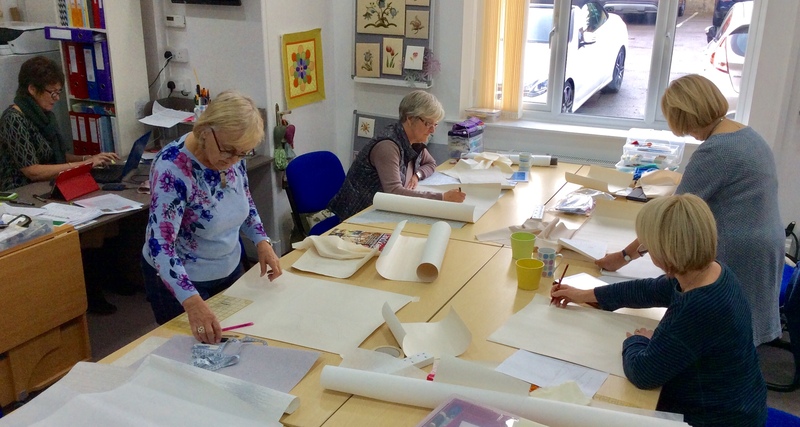 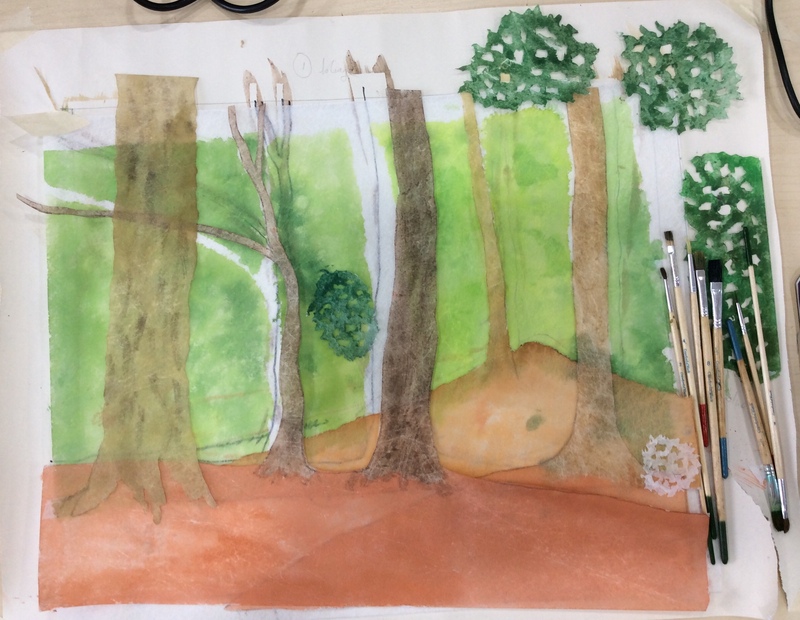 There were some wonderful designs taking shape as areas were enhanced with stitch….. 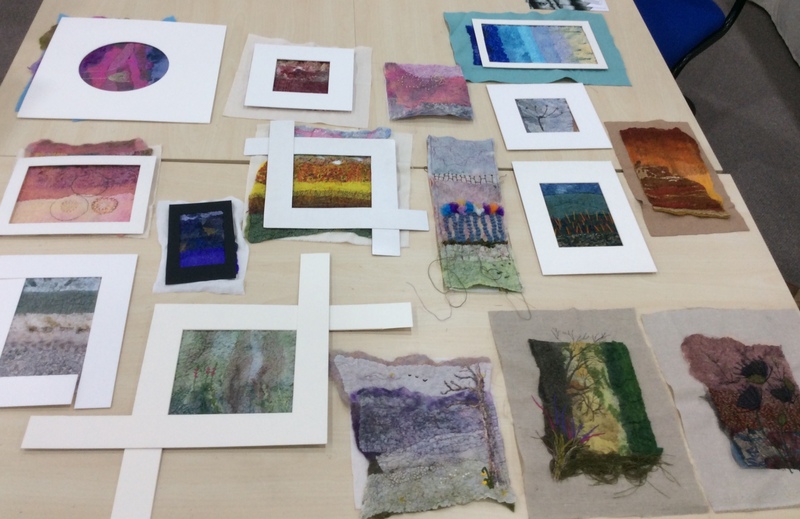 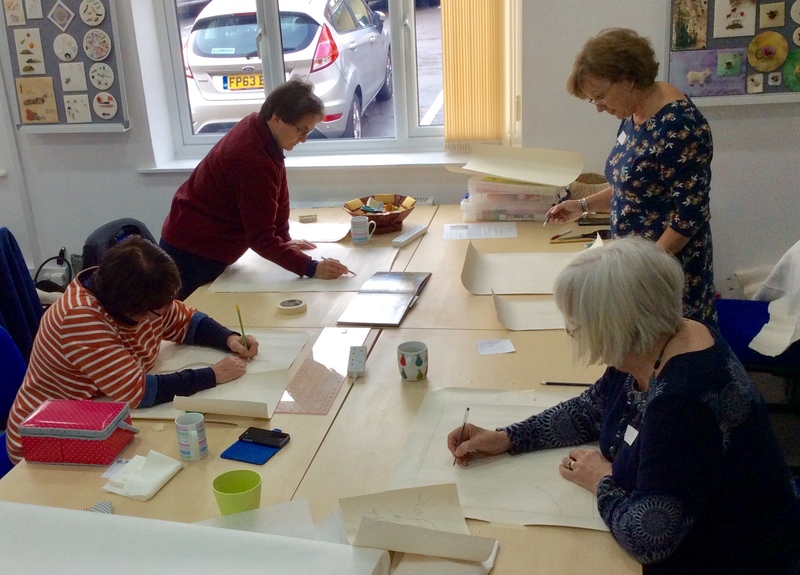 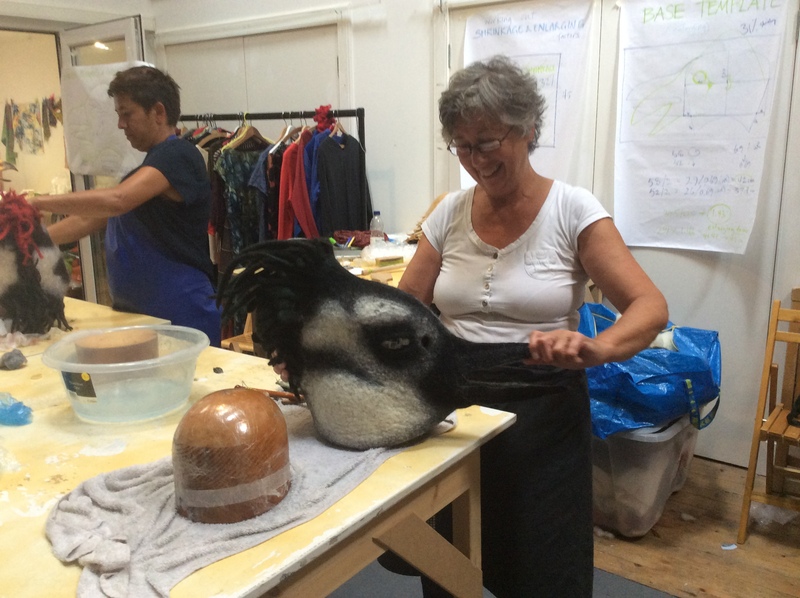 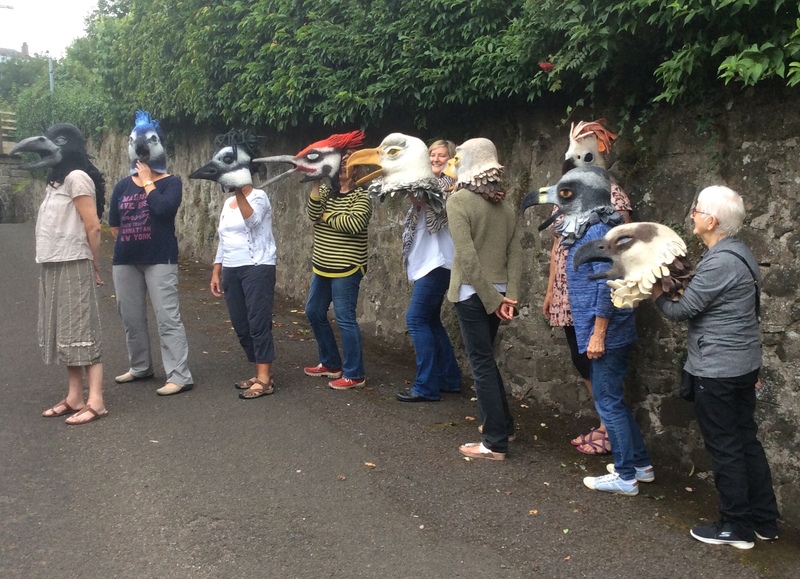 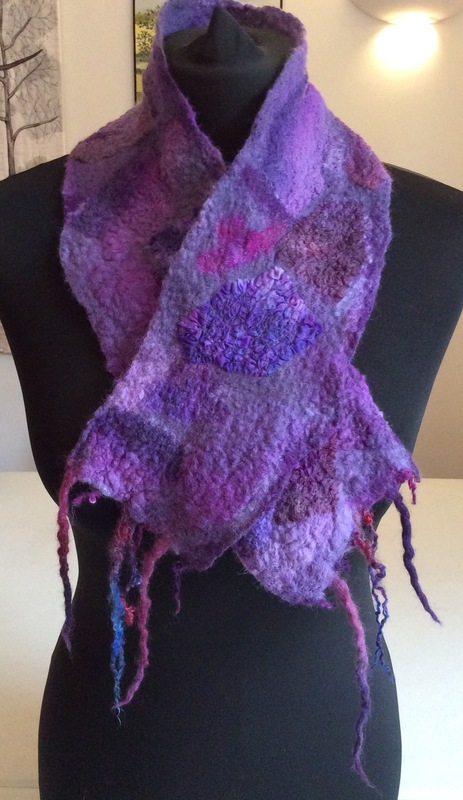 Thanks to Nicola for hosting the workshop and to all the ladies who took part and created such wonderful work. 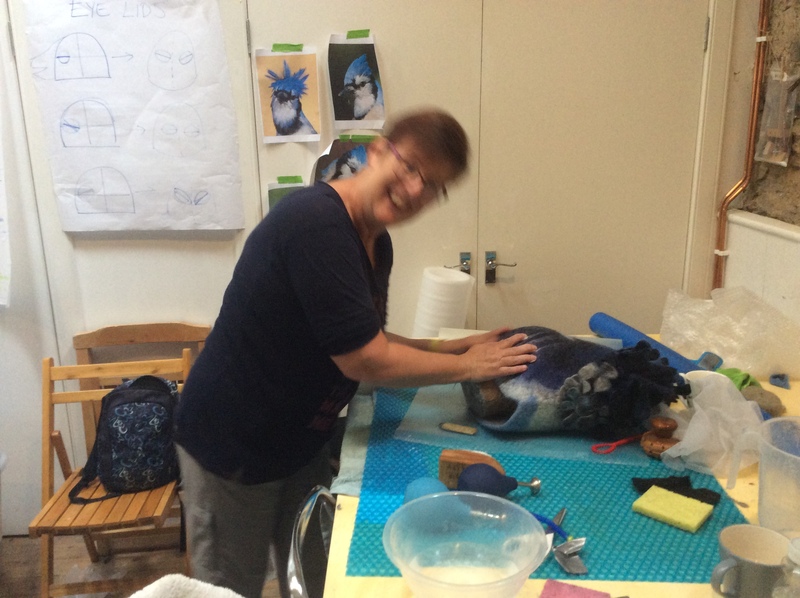 I shall look forward to seeing some of you again on my return visit in September. 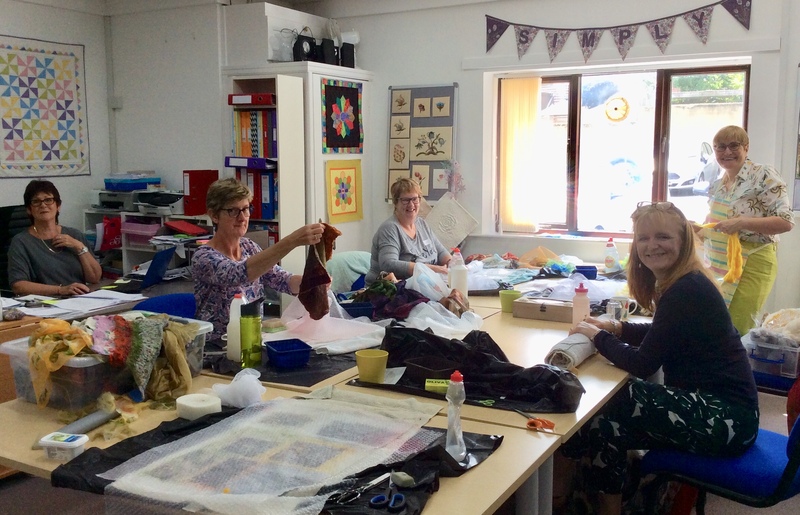 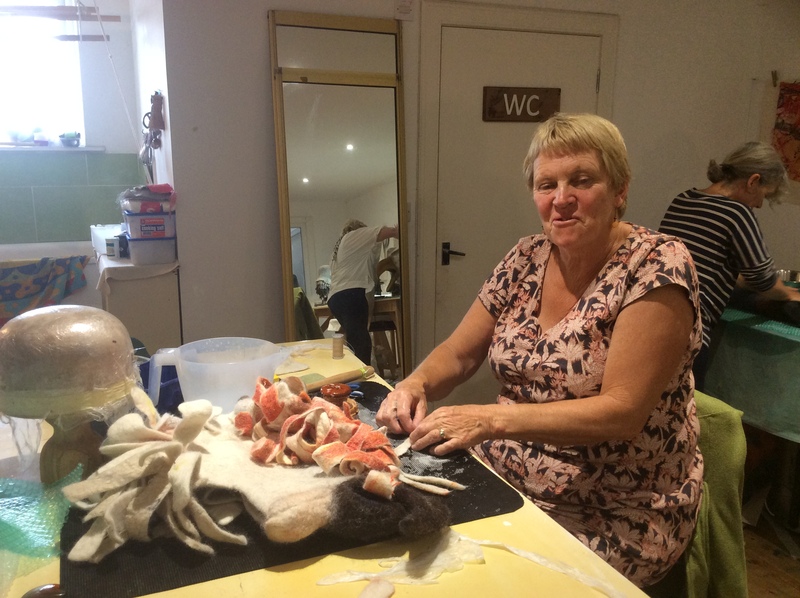 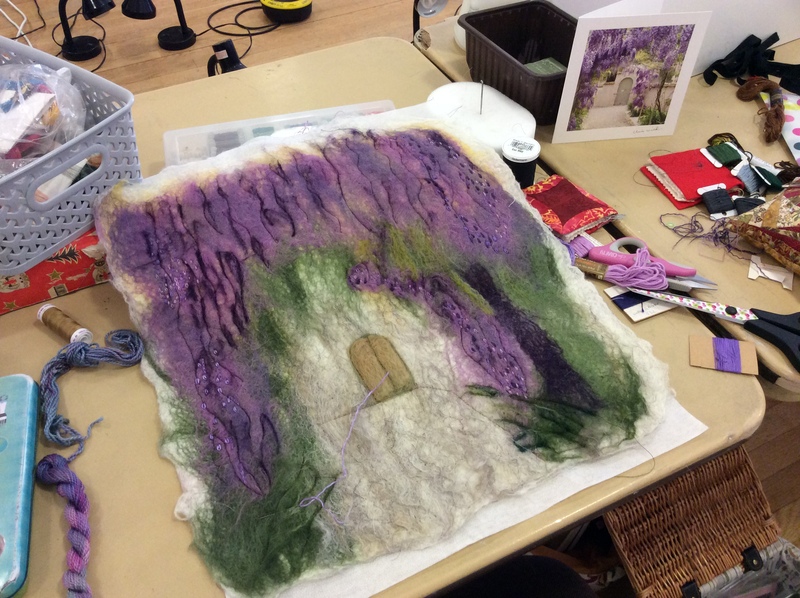 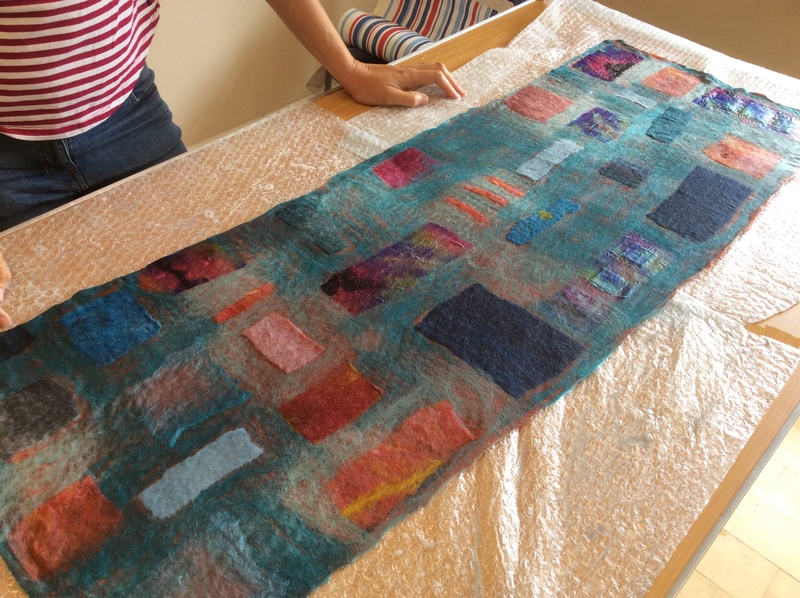 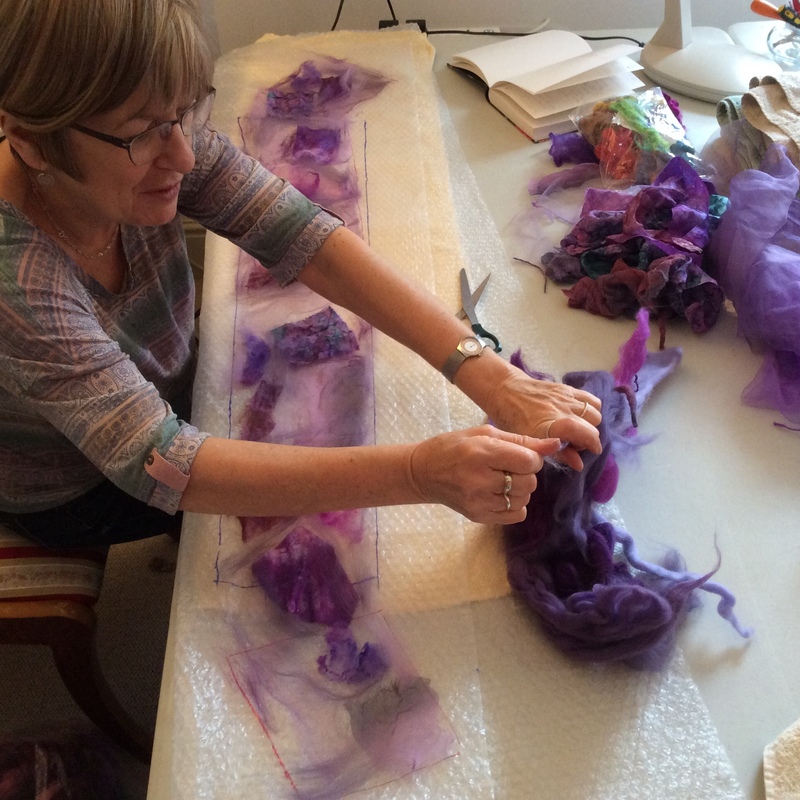 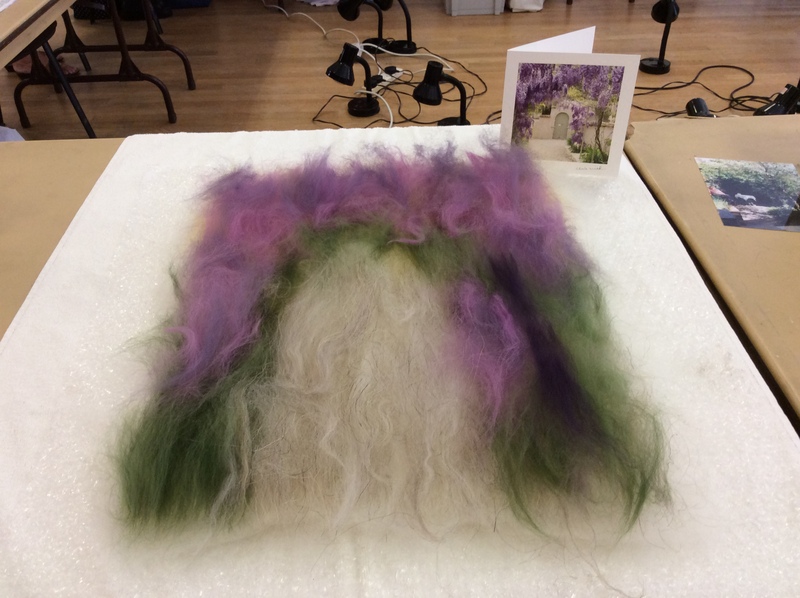 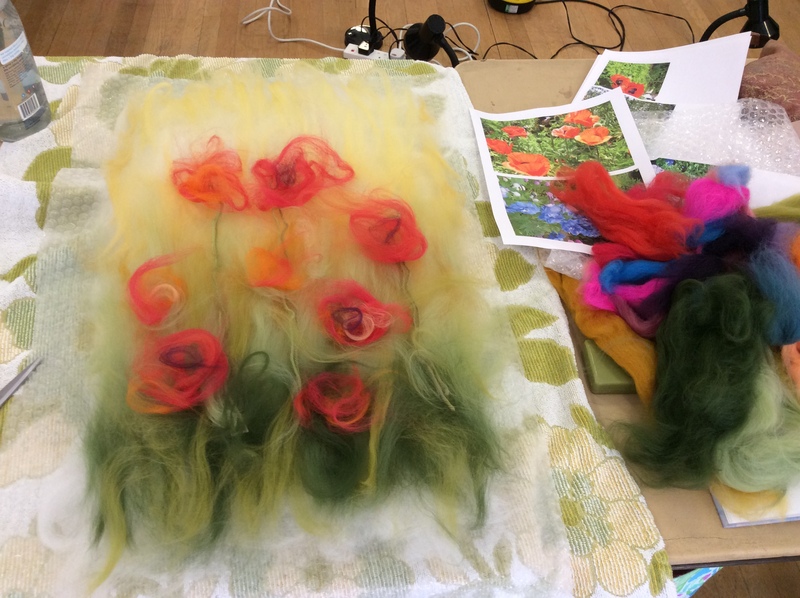 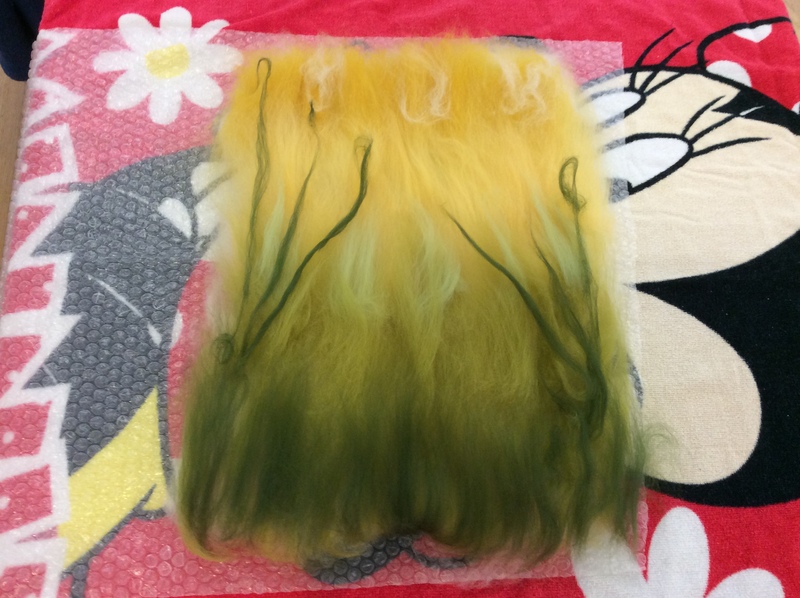 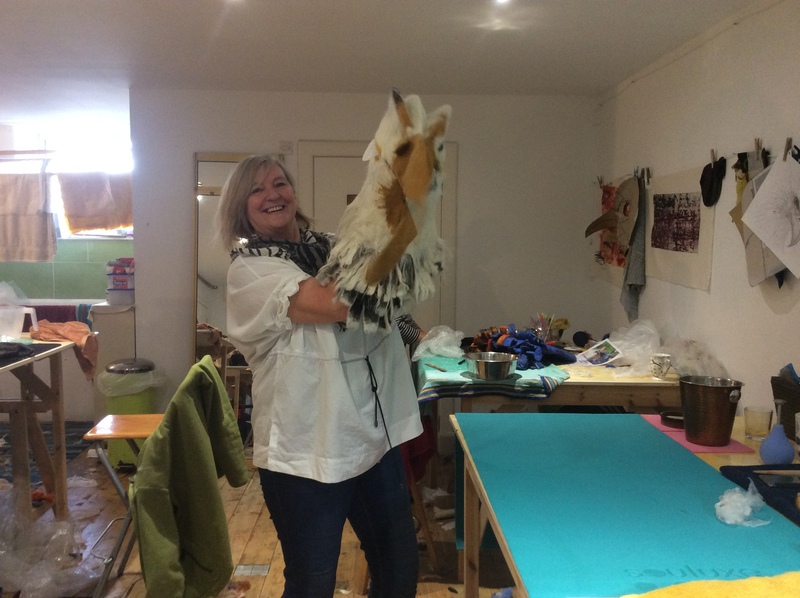 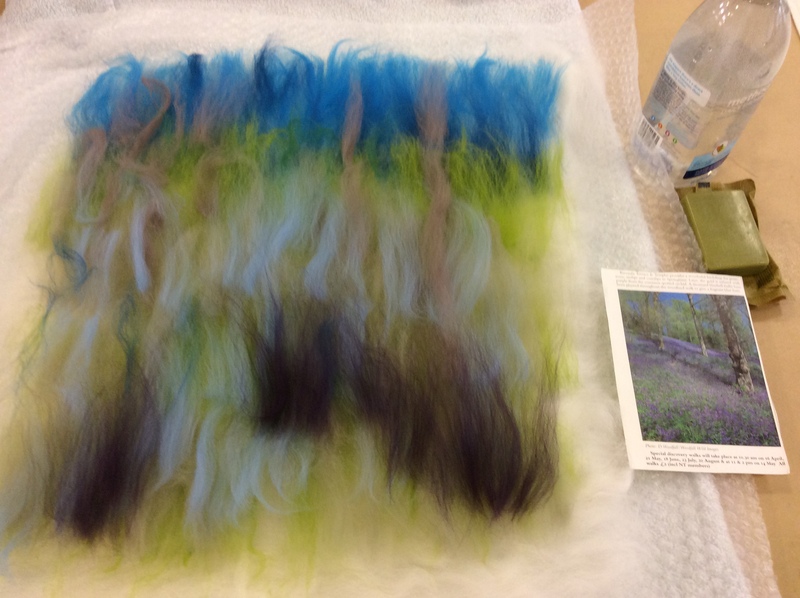 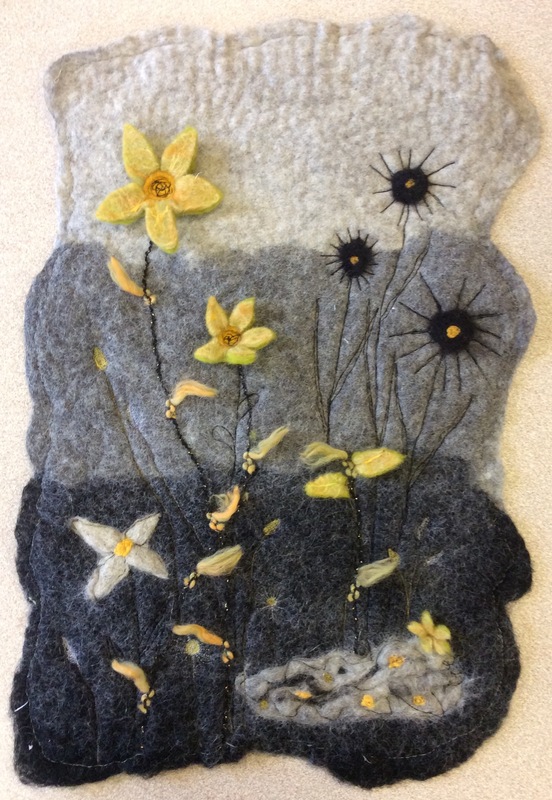 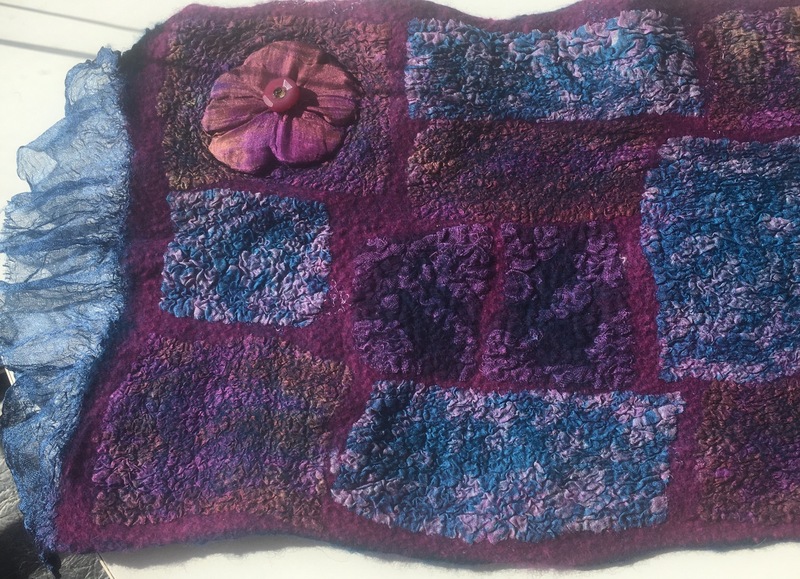 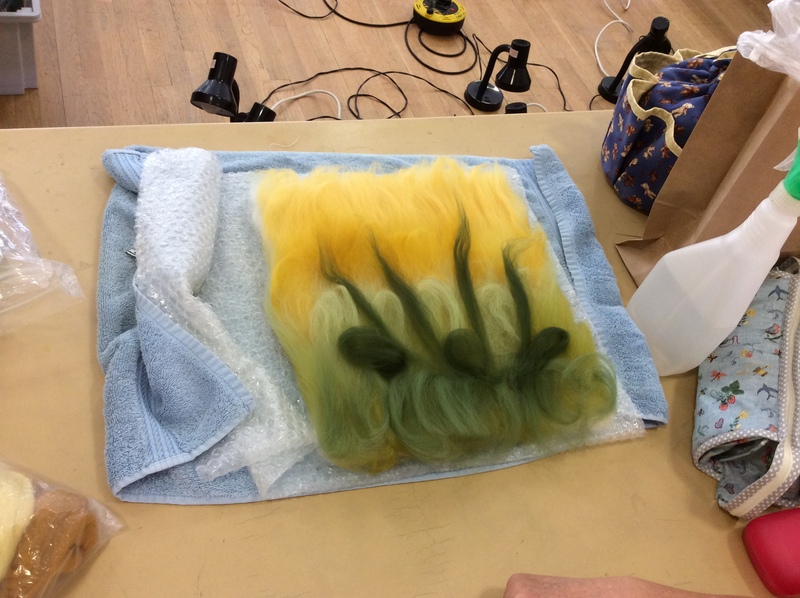 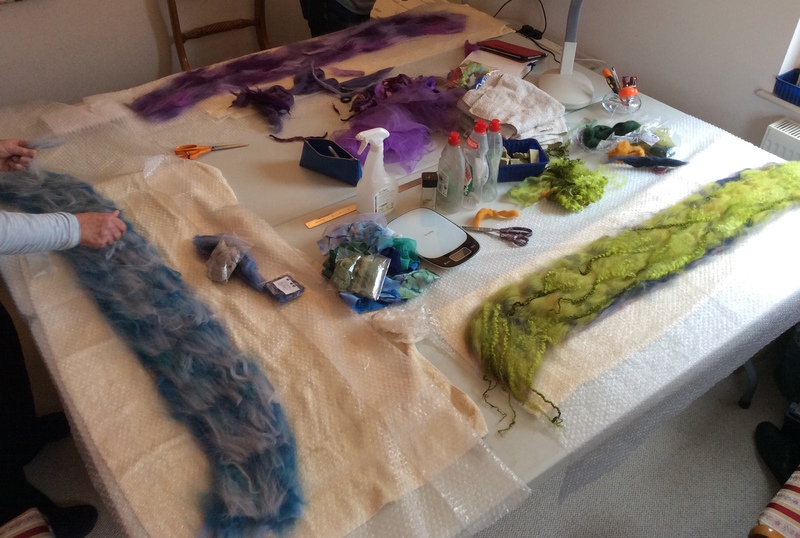 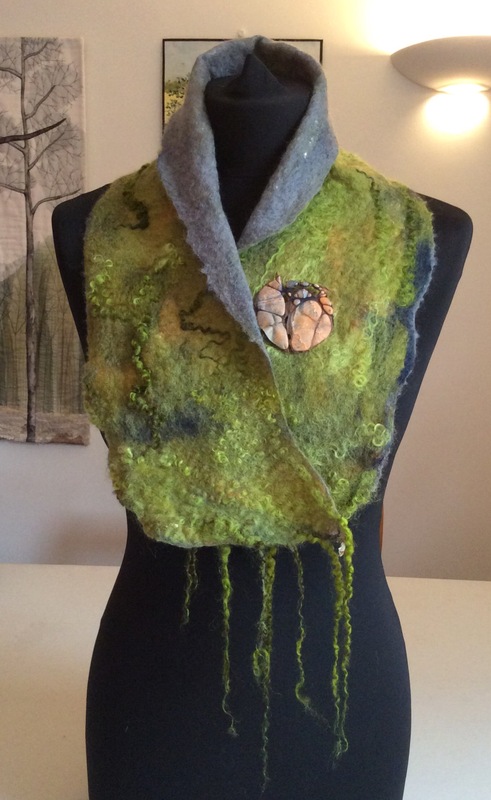 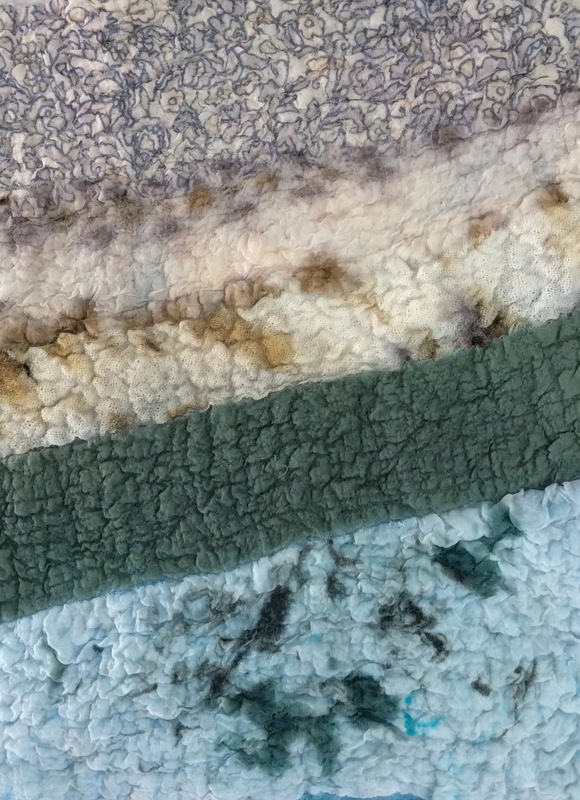 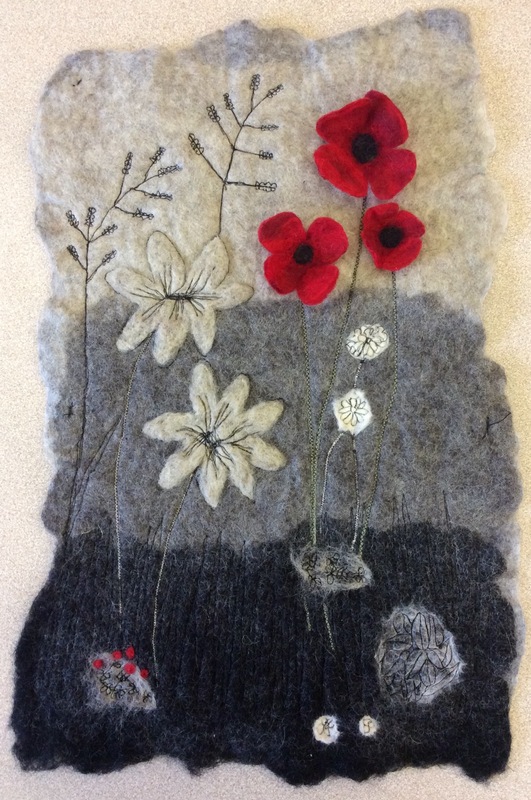 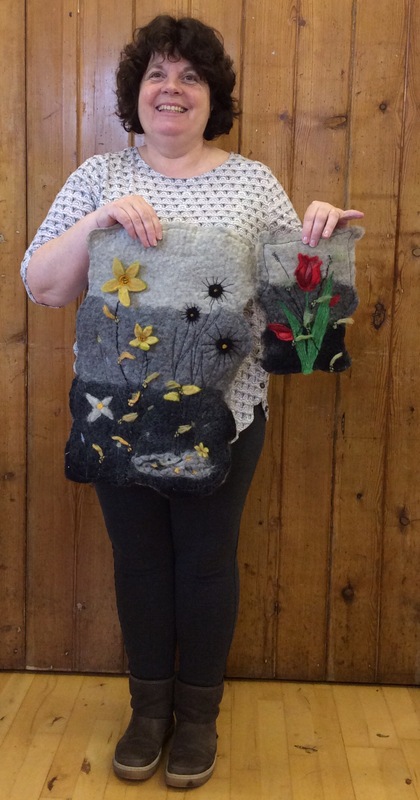 Weve just finished day one of a two-day Nuno Felting Workshop at Simply Stitch, East Keswick and what a productive day we’ve had! 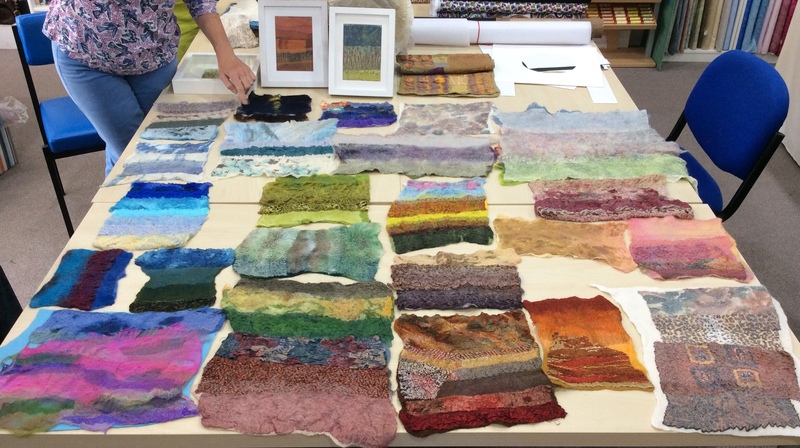 10 ladies are taking part and today they experimented with different lightweight fabrics, combining them with Merino fibres to produce beautiful new Nuno fabrics. 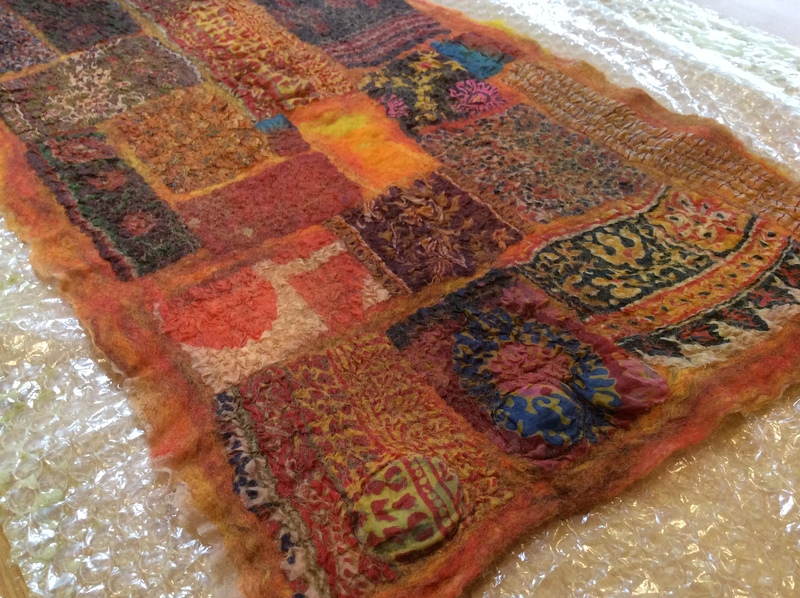 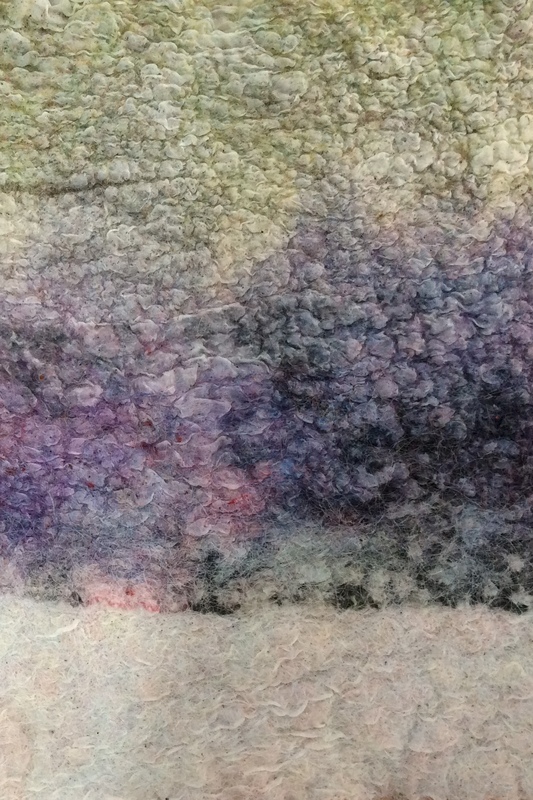 And a few close-ups showing the wonderful textures achieved…. 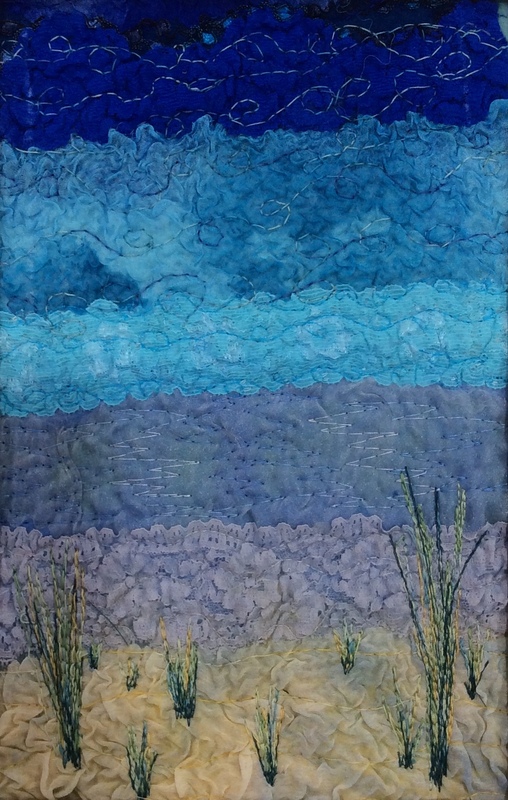 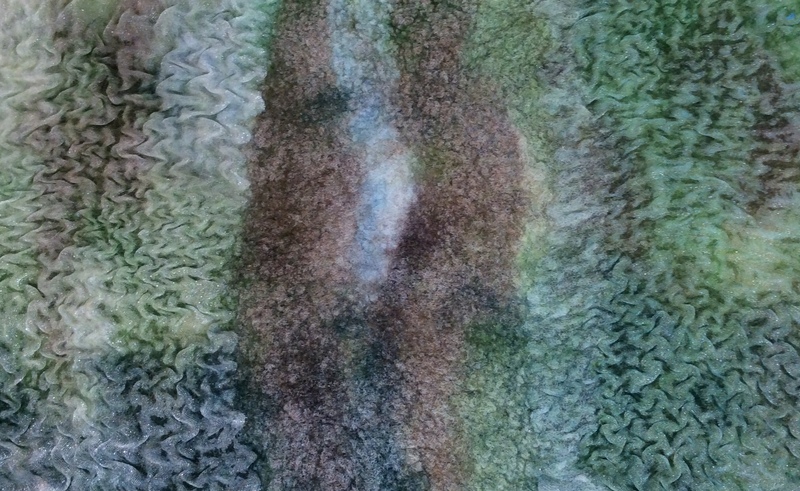 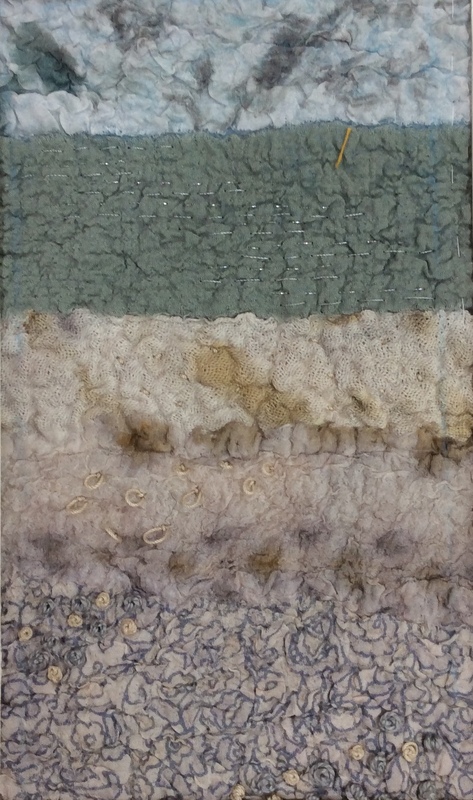 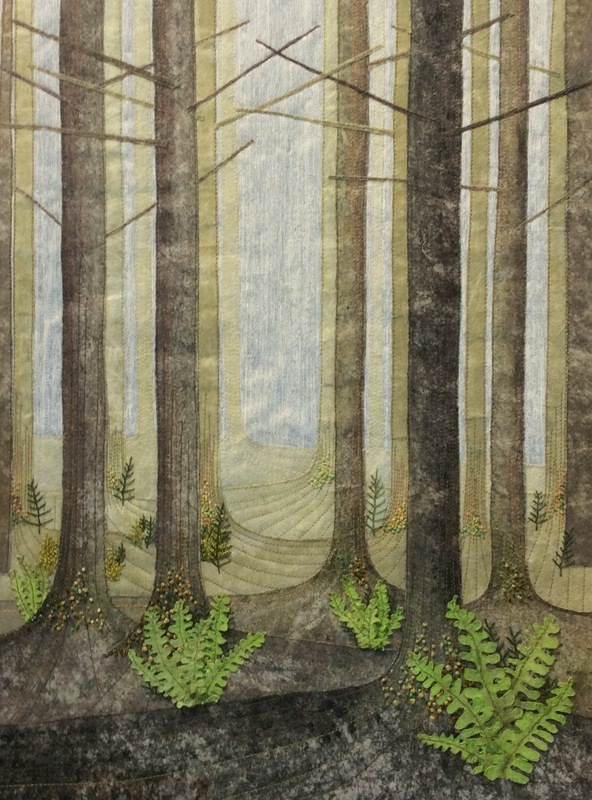 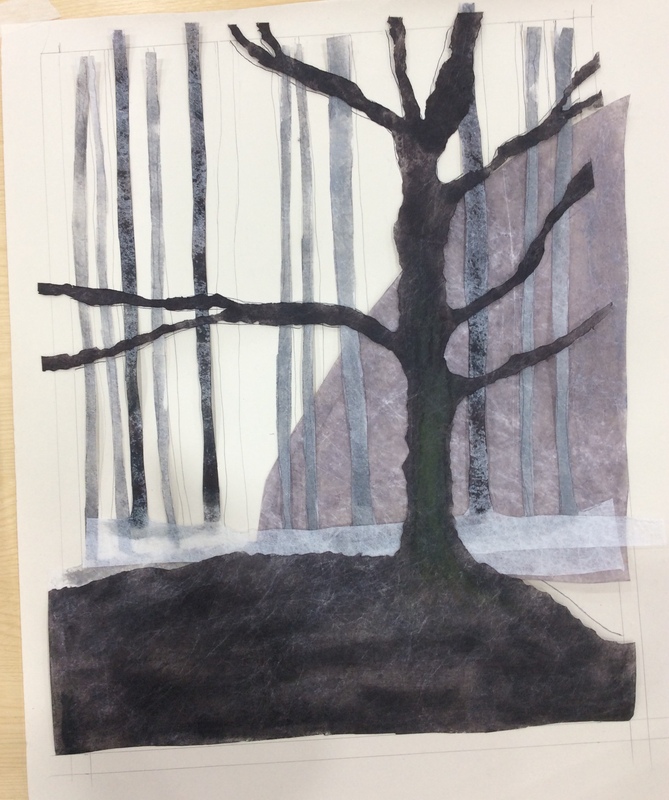 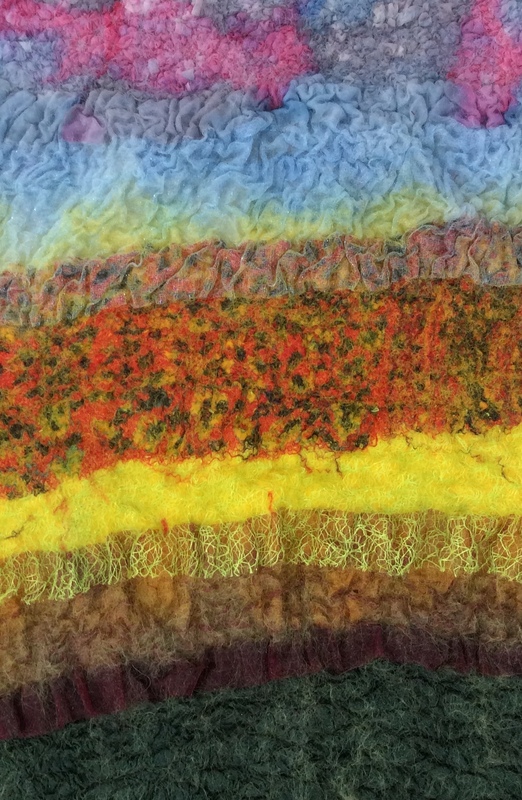 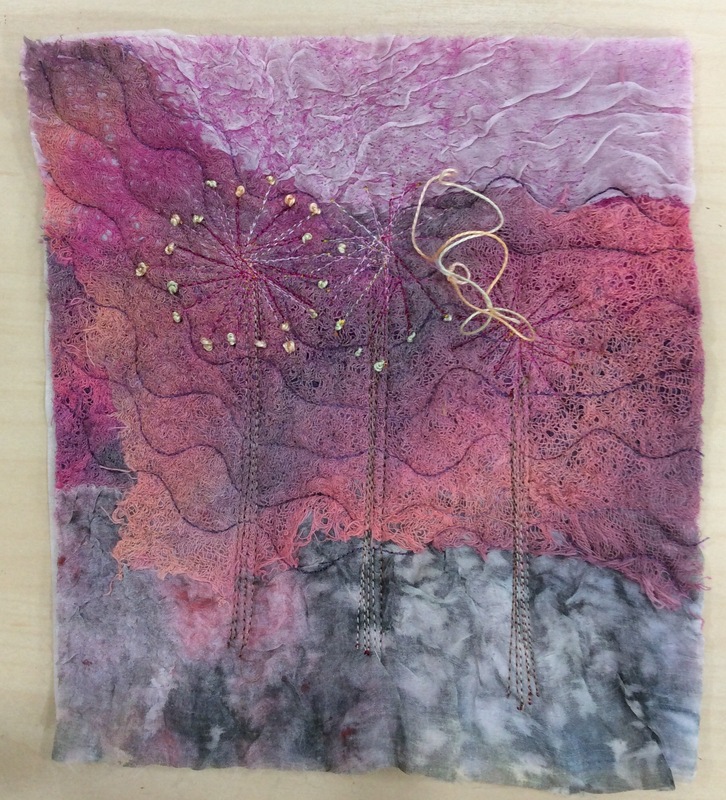 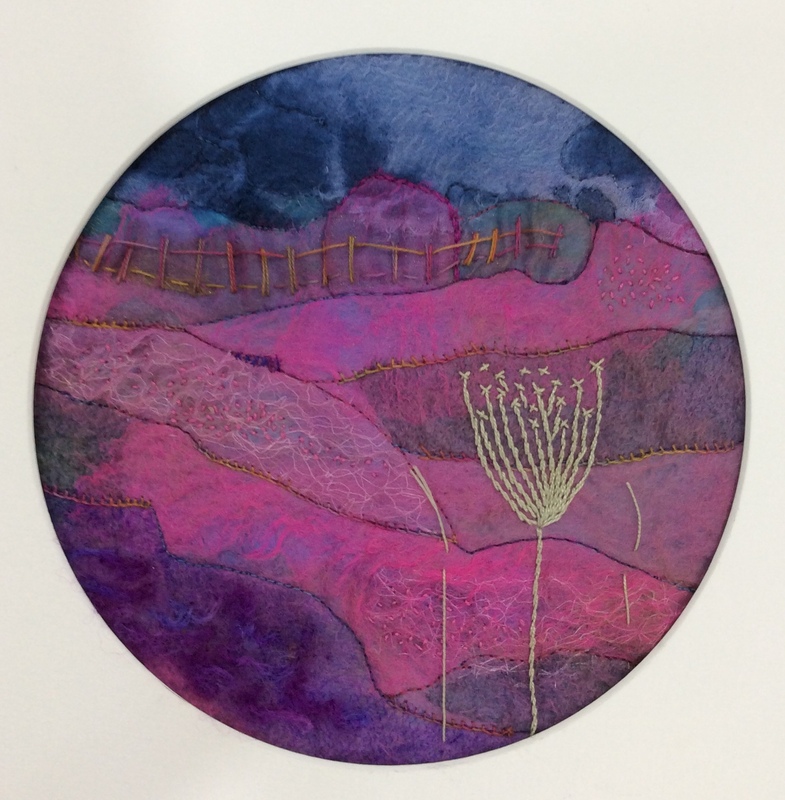 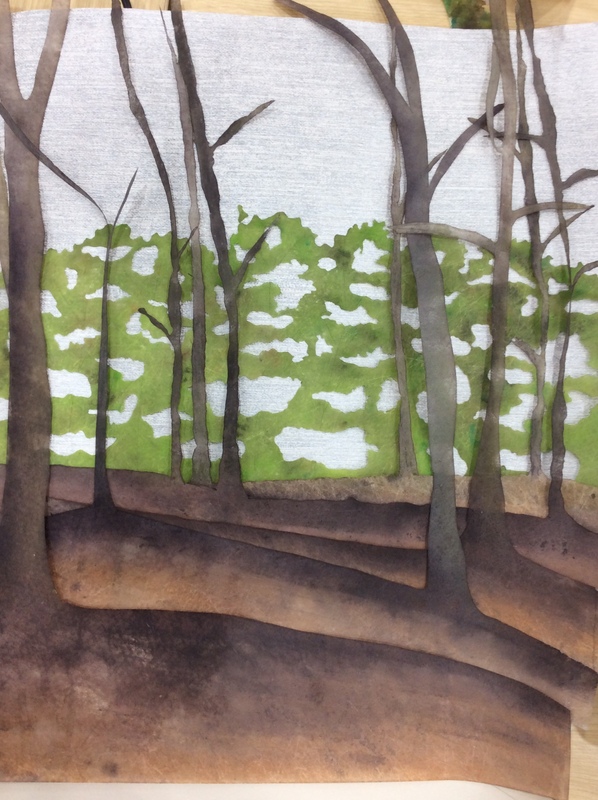 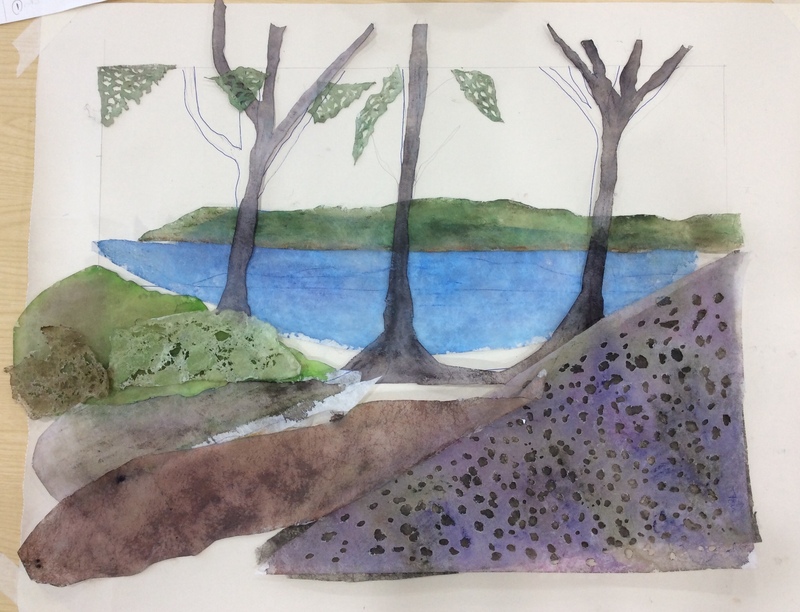 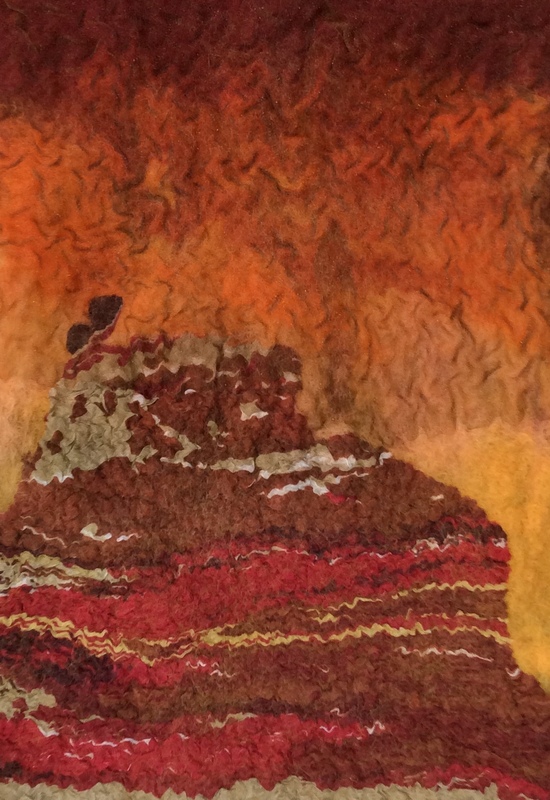 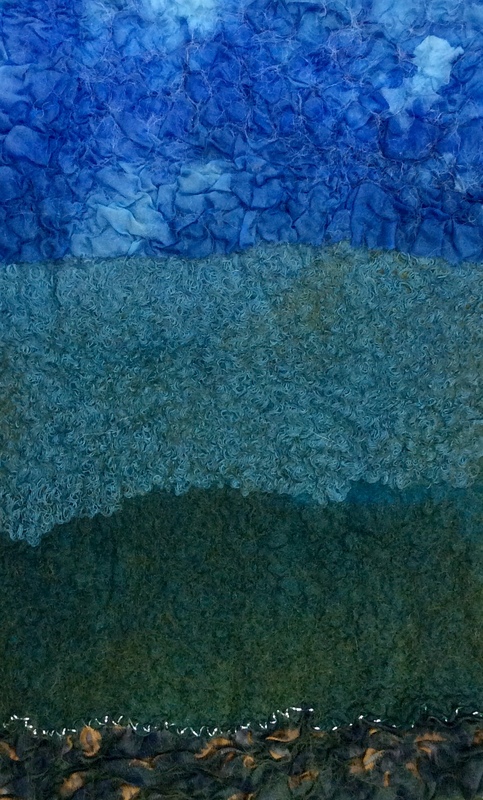 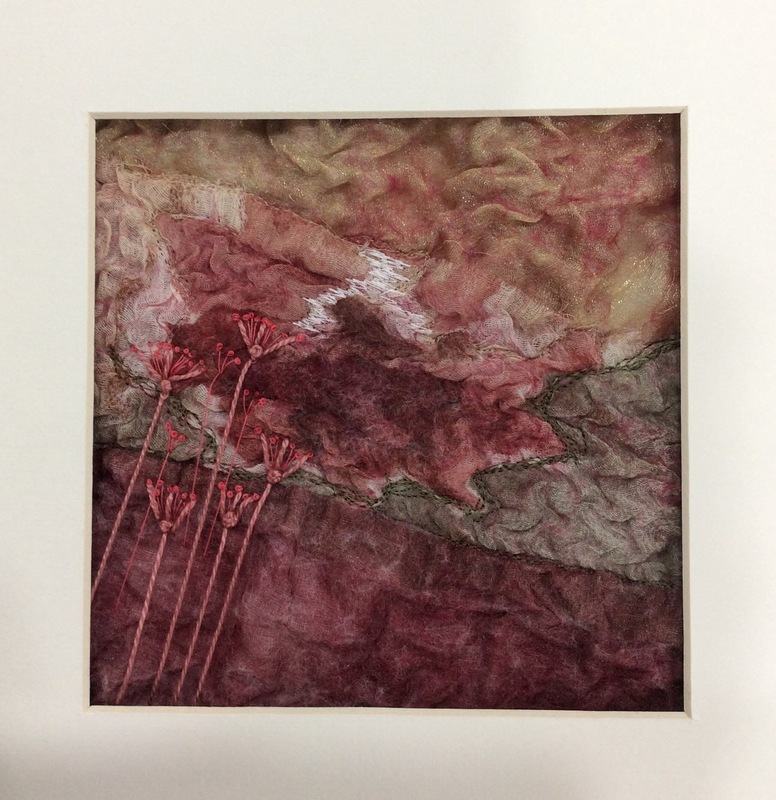 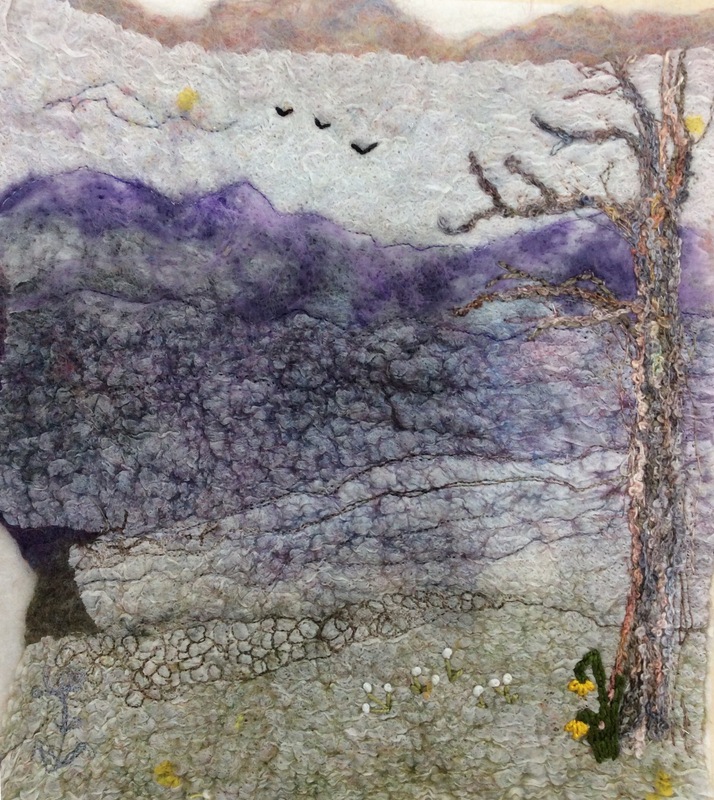 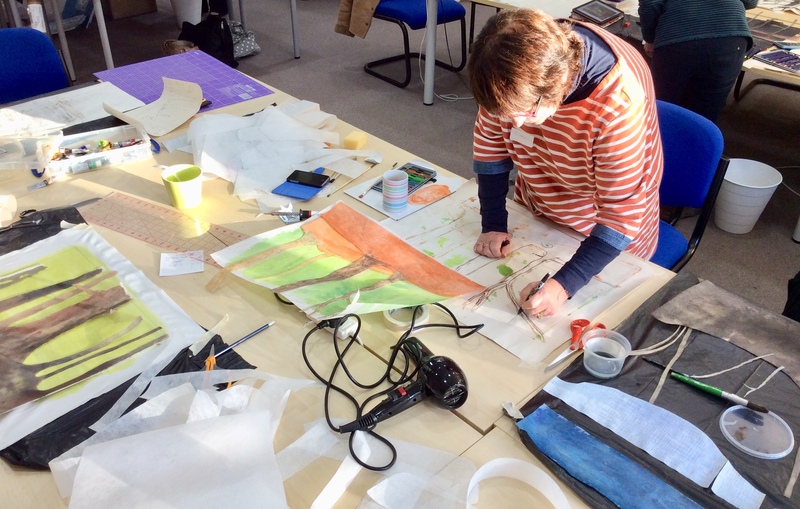 Tomorrow we will be using apertures to identify areas to be embellished using hand and/or machine stitching. 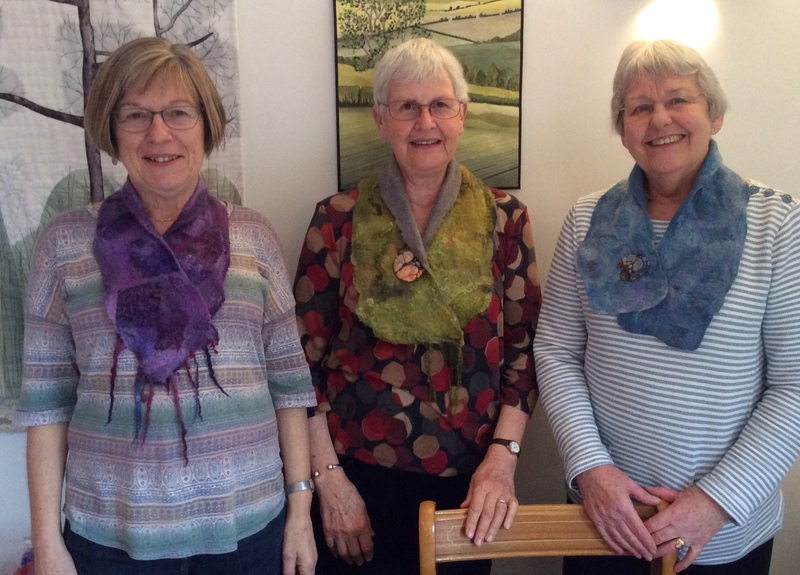 Today’s students were Jenny, Felicia and Anne, three friends from the Derby area who travelled up for the day to make Merino and Silk Collars. 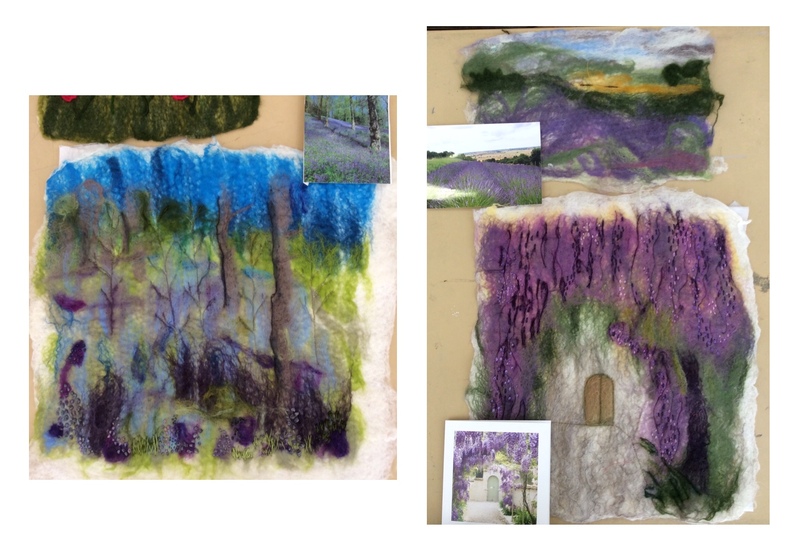 As you can see from the photos of their finished work the ladies did a wonderful job and achieved some fabulous textures. 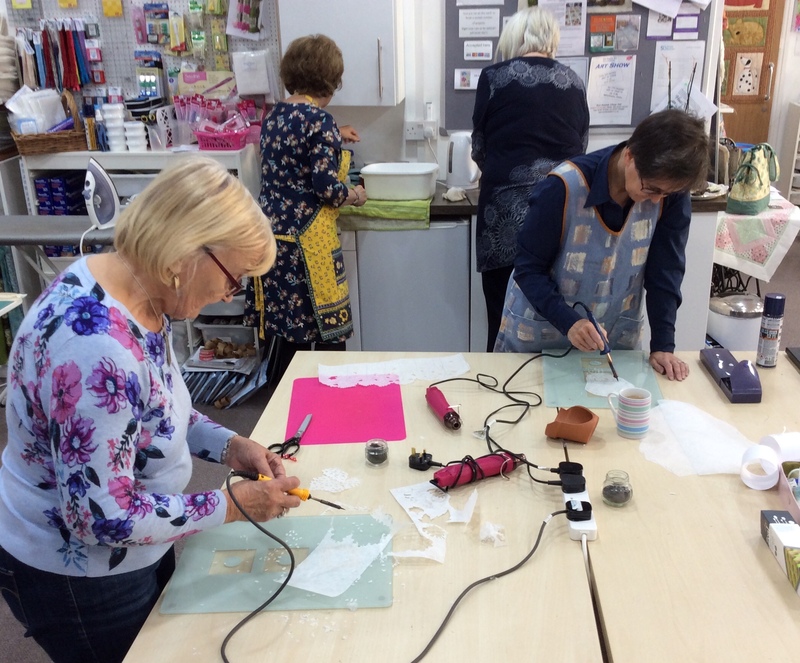 They even got done in time for a quick Tyvek demonstration and each made a Tyvek brooch. 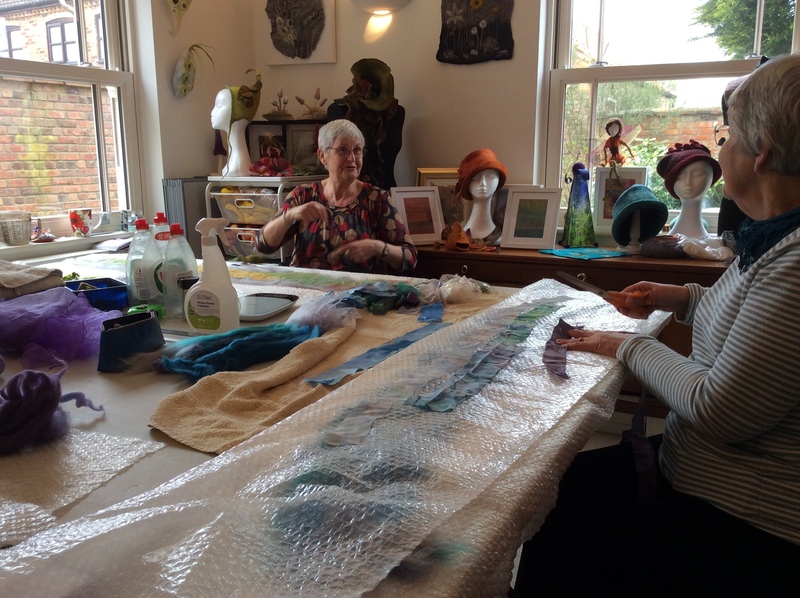 Jenny, Anne and Felicia…..all hoping the damp, cold weather continues a while longer! 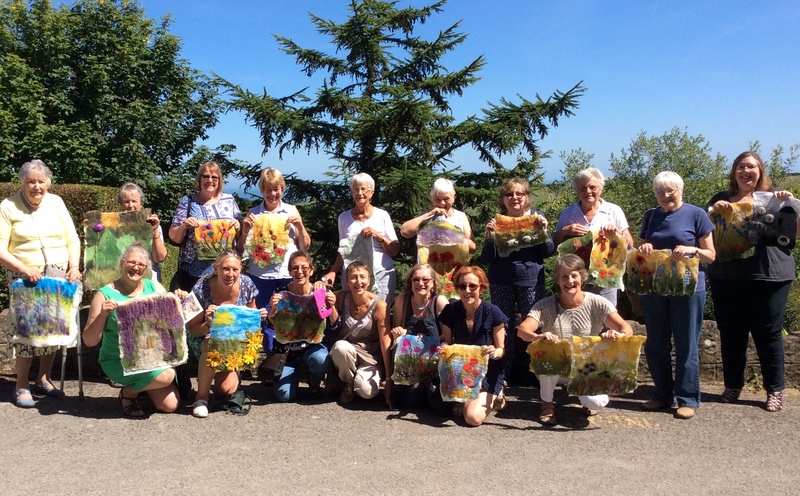 It was a pleasure working with you ladies. 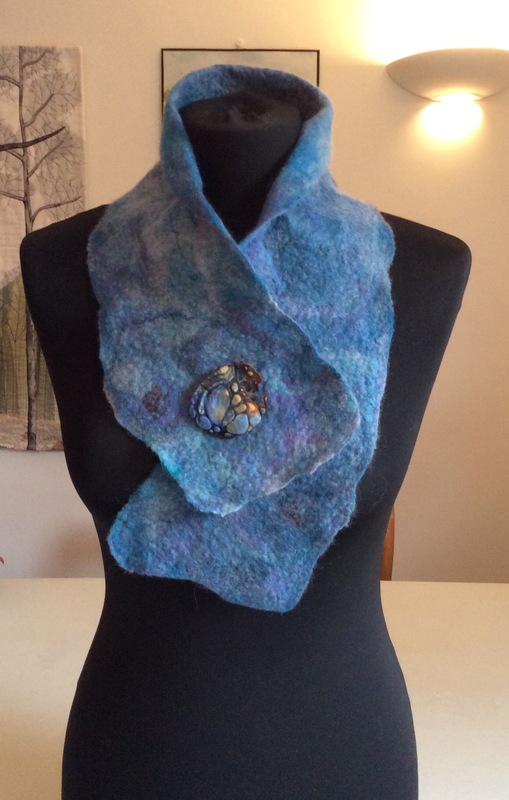 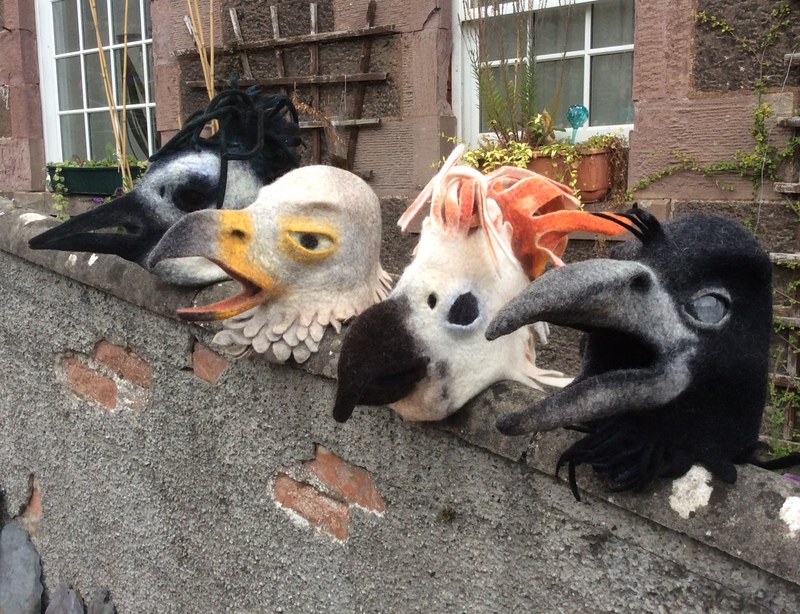 I hope you all enjoy wearing your new creations and go on to make lots more!